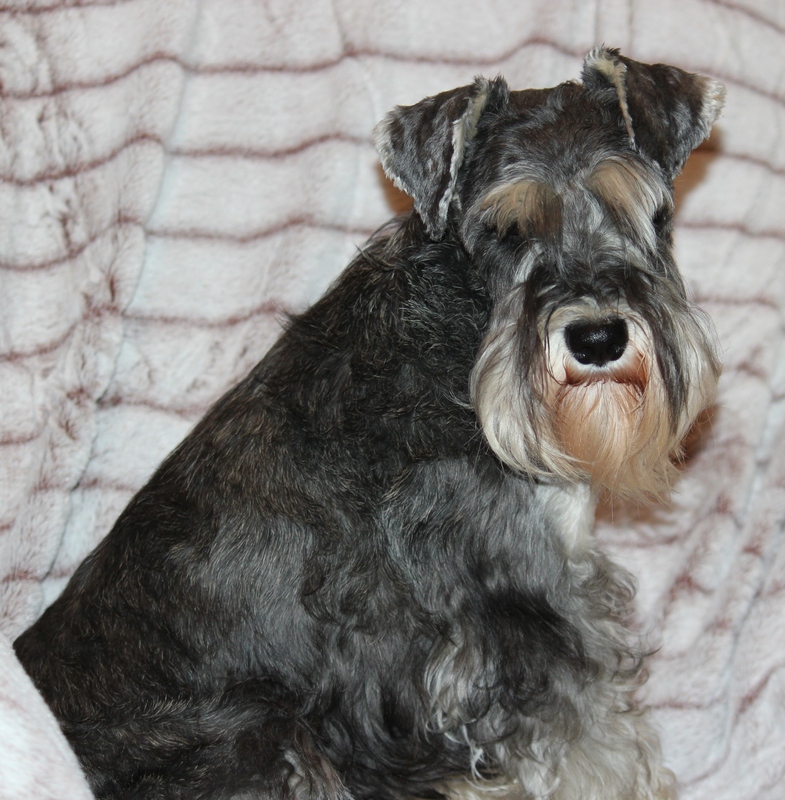 "Responsible Caregivers of MULTI-CHAMPIONLINE Miniature Schnauzers"
If you are looking for a non-shedding companion, look no further! 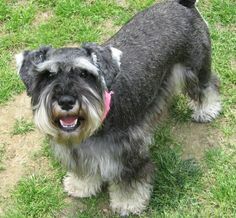 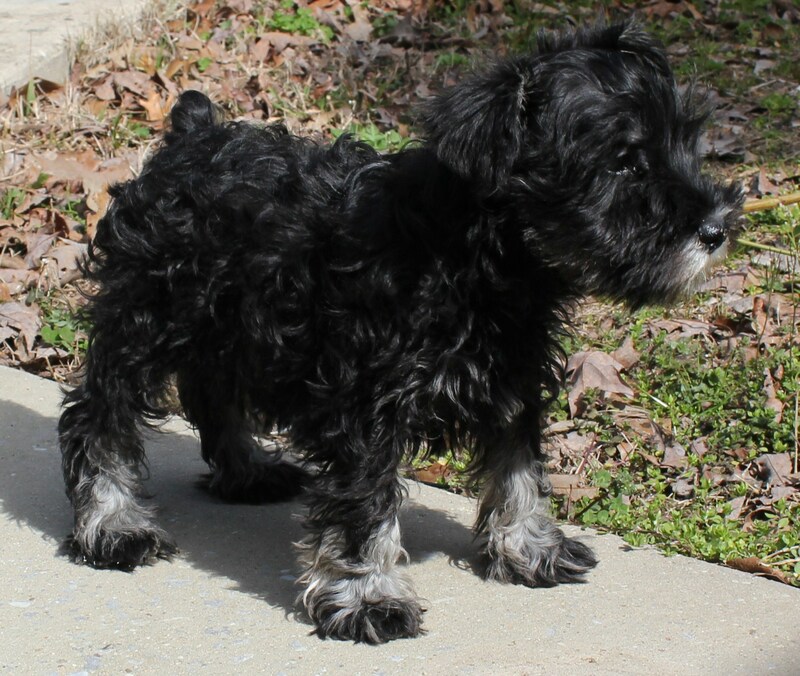 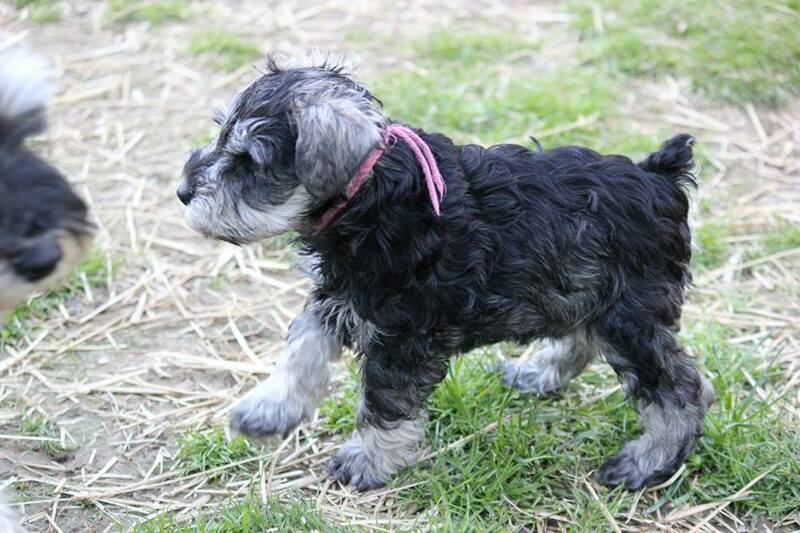 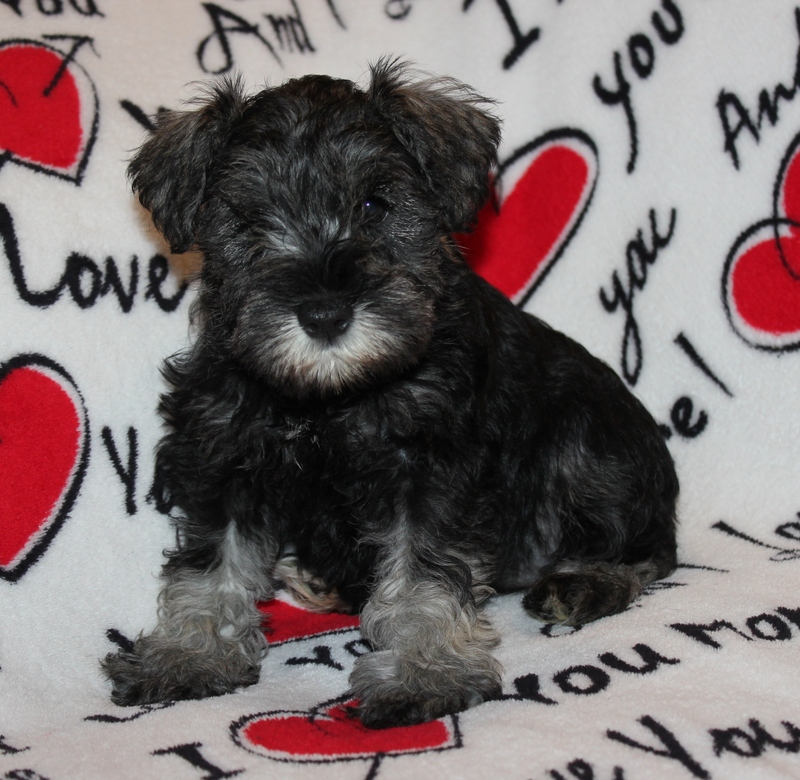 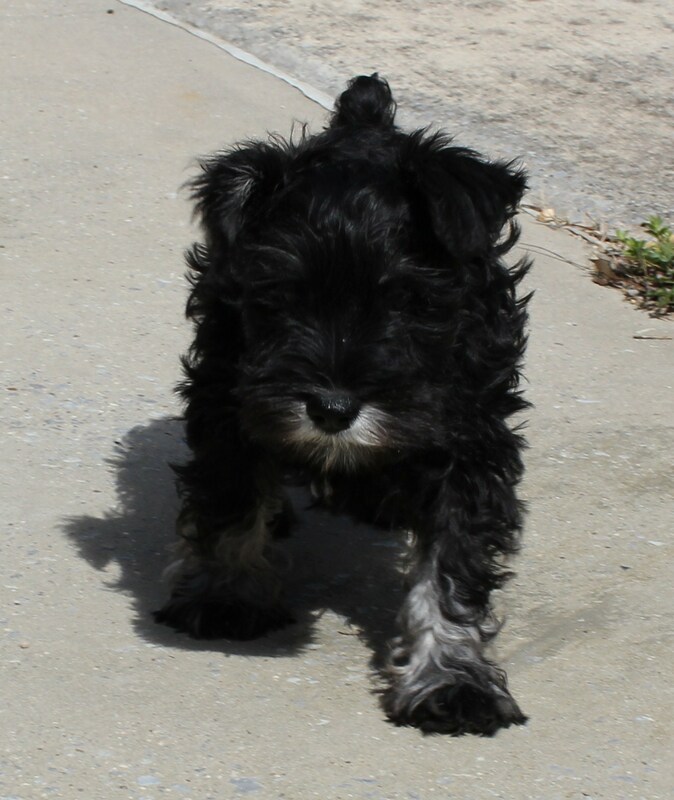 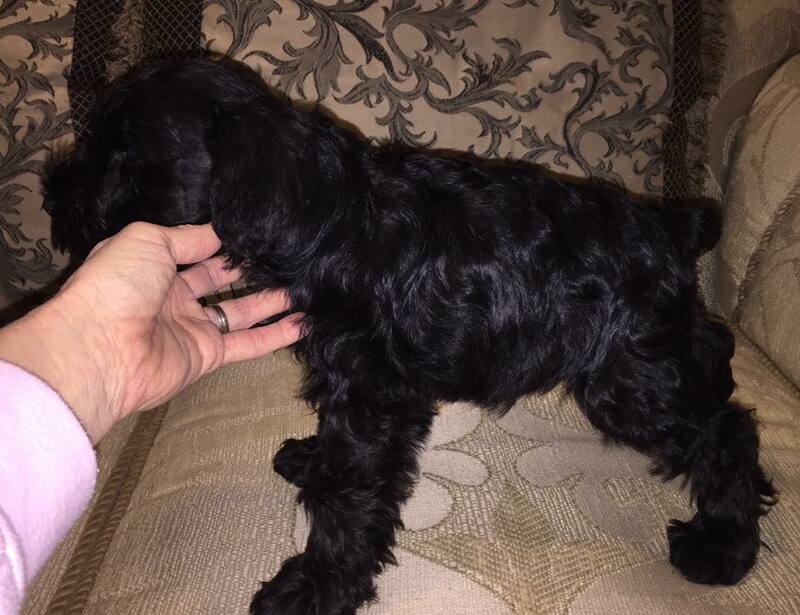 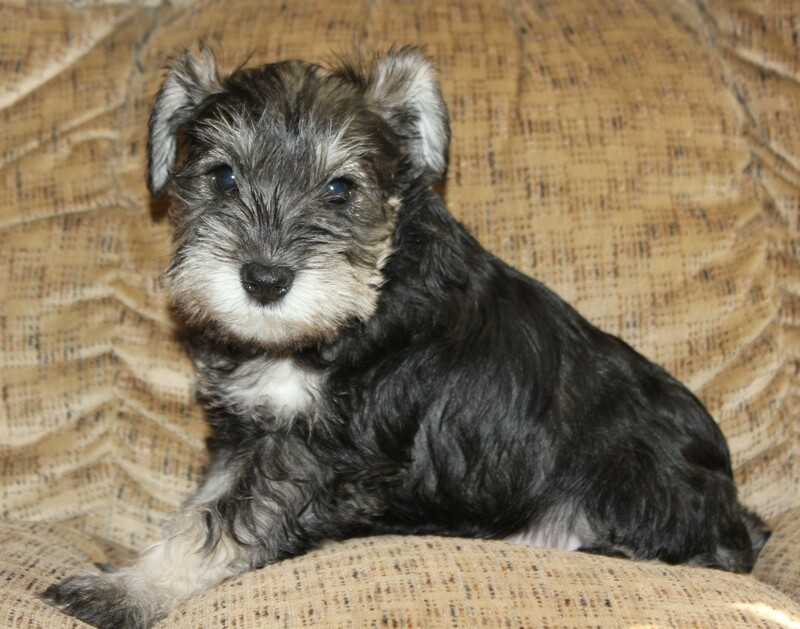 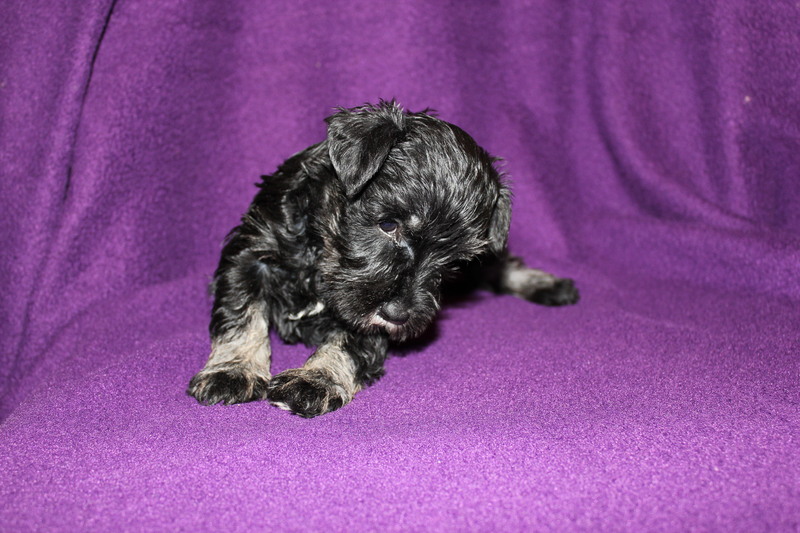 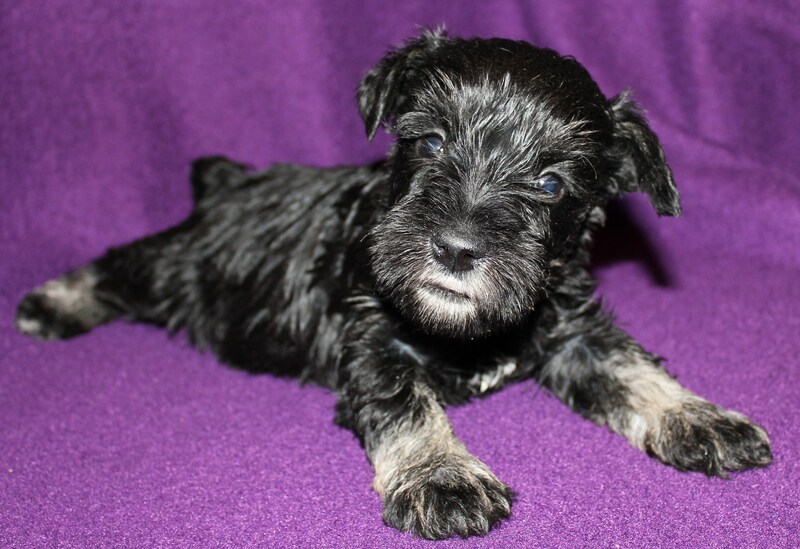 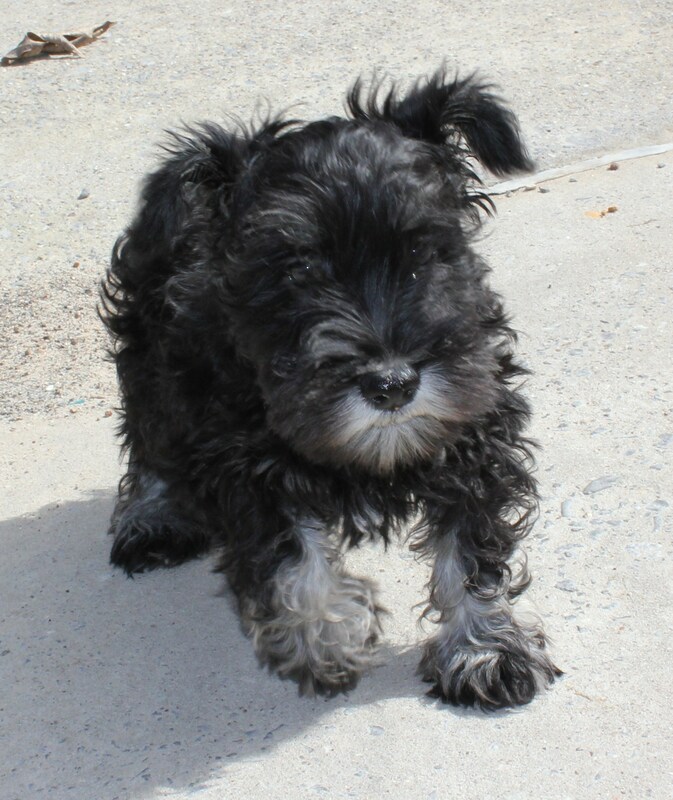 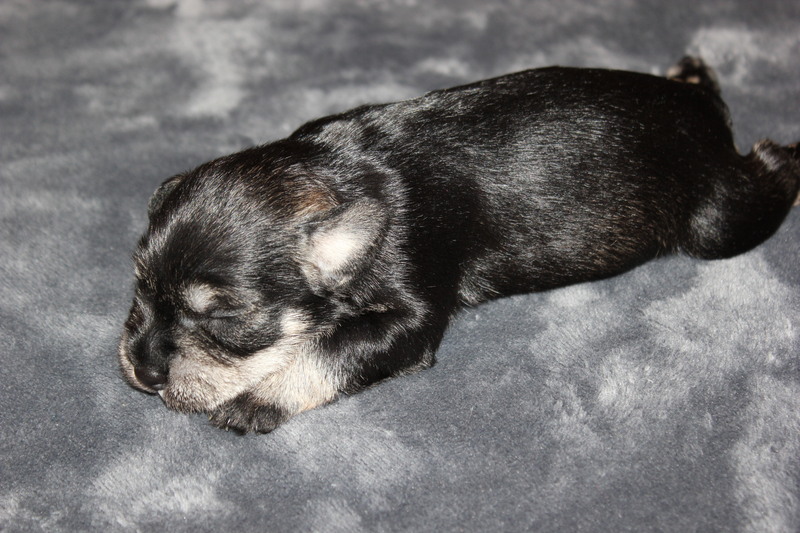 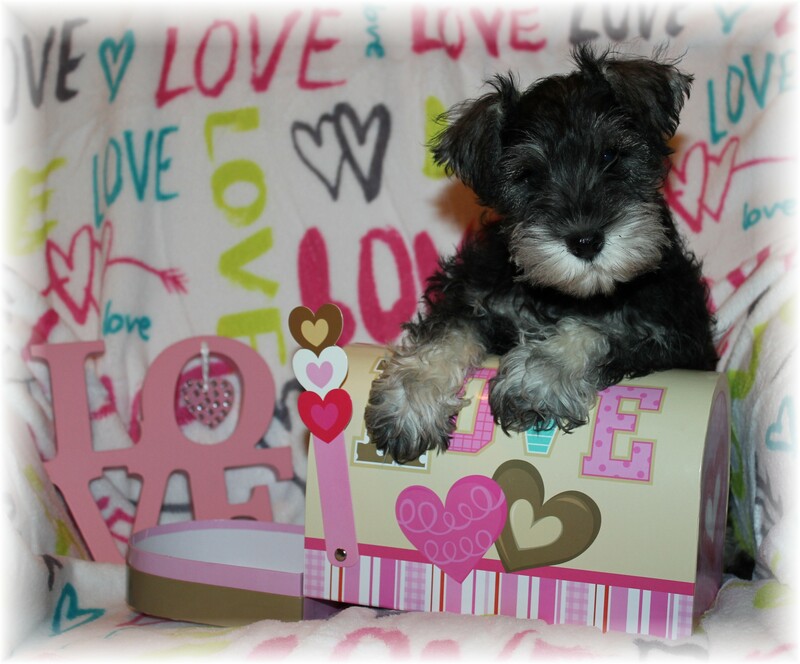 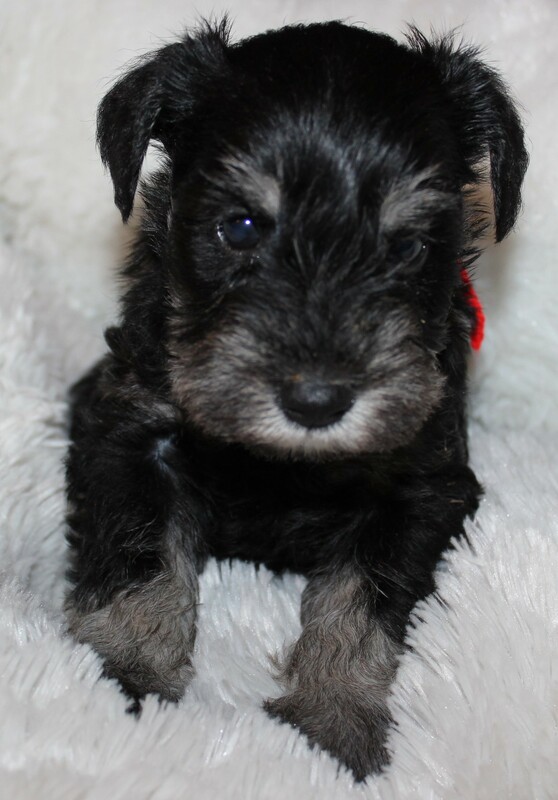 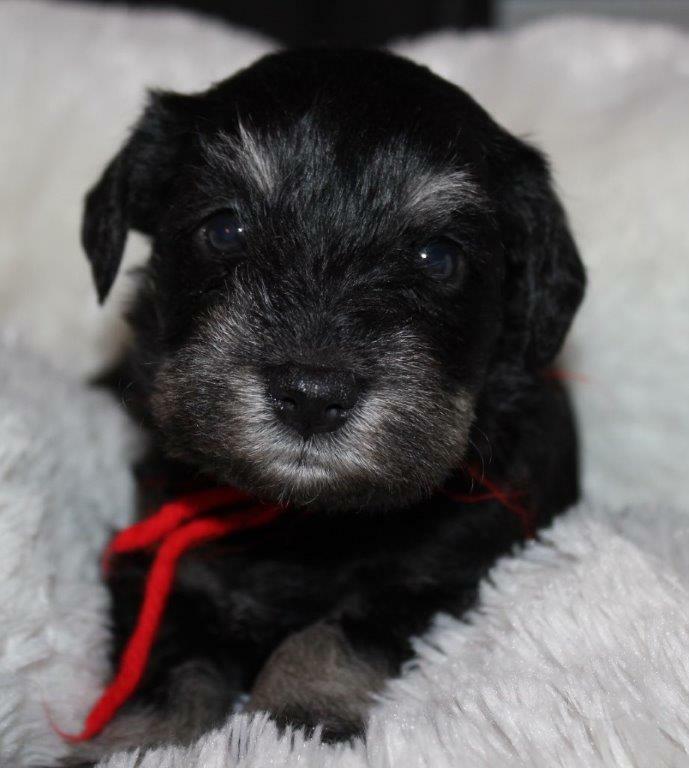 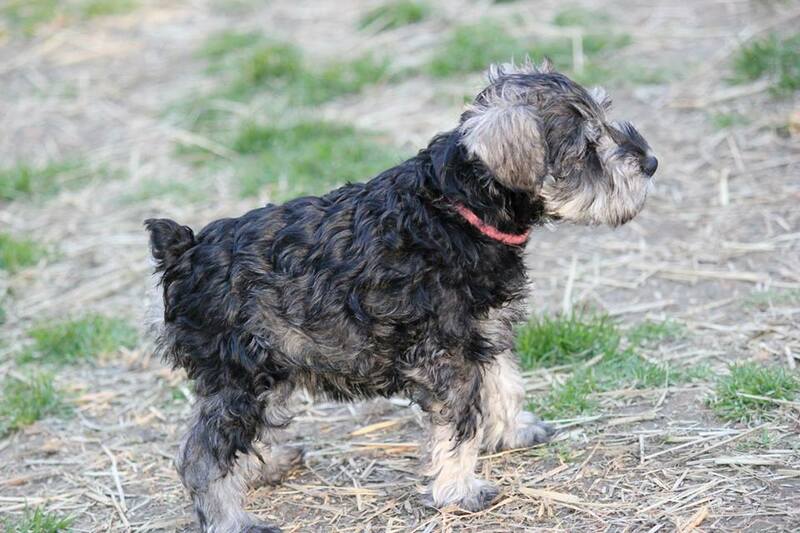 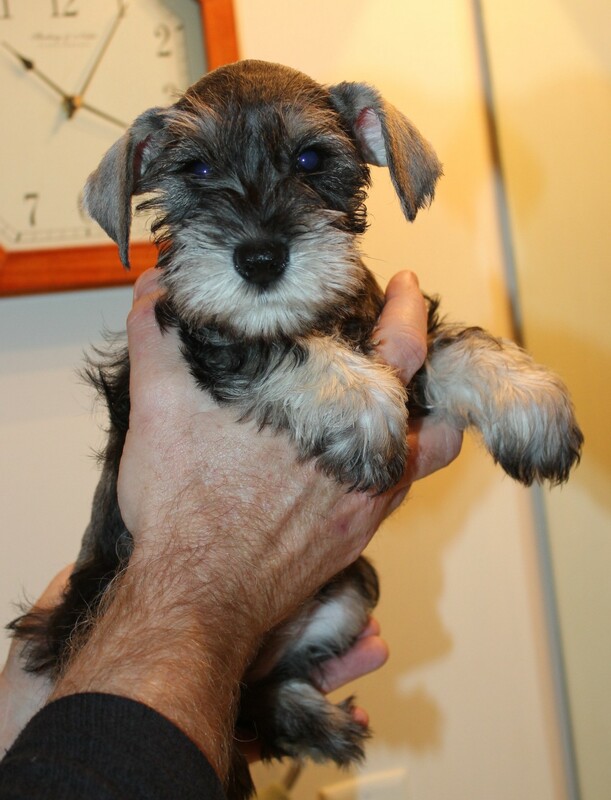 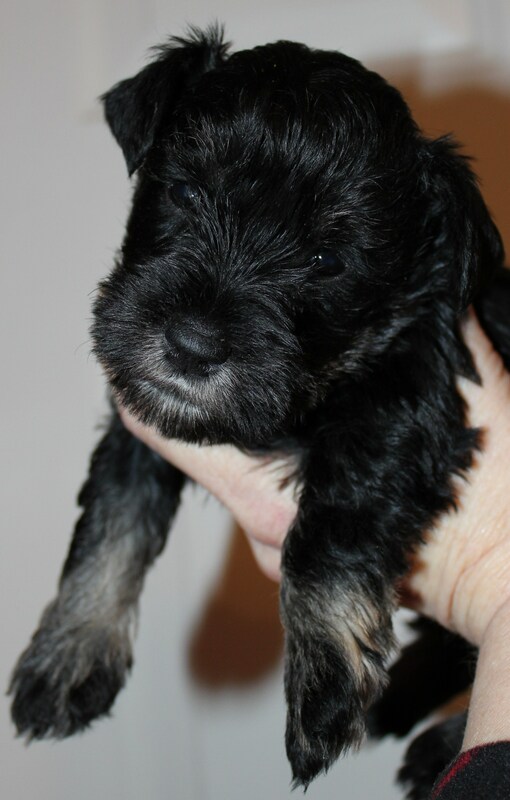 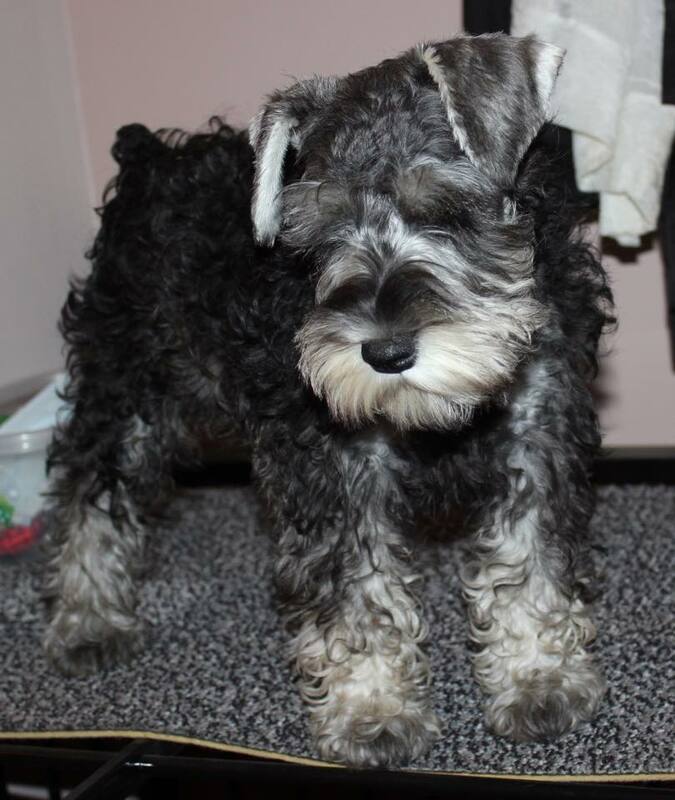 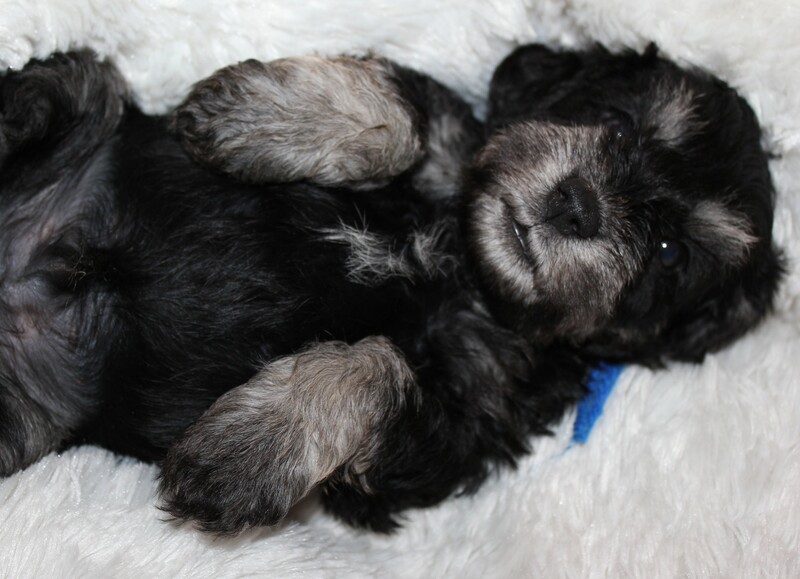 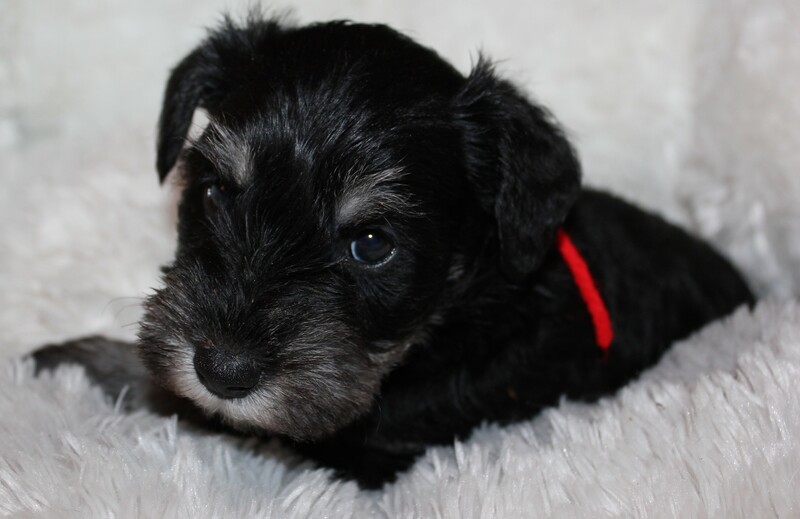 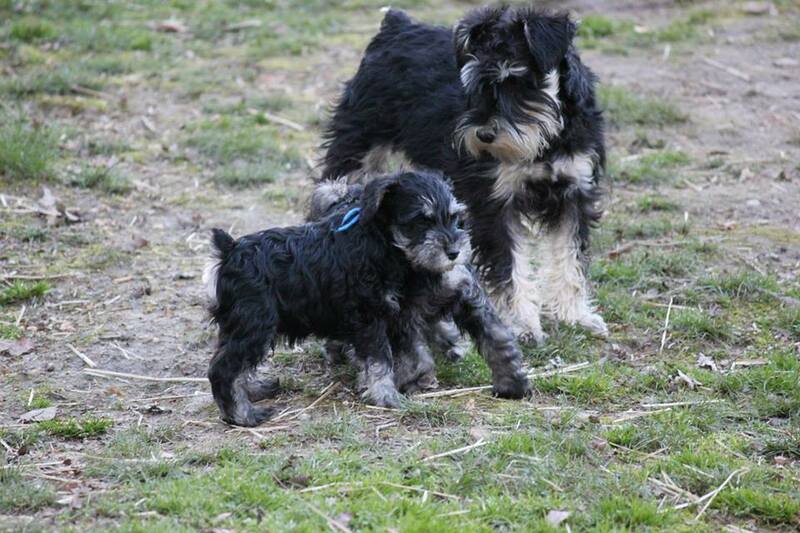 You have found just what you are looking for in our mini schnauzers! 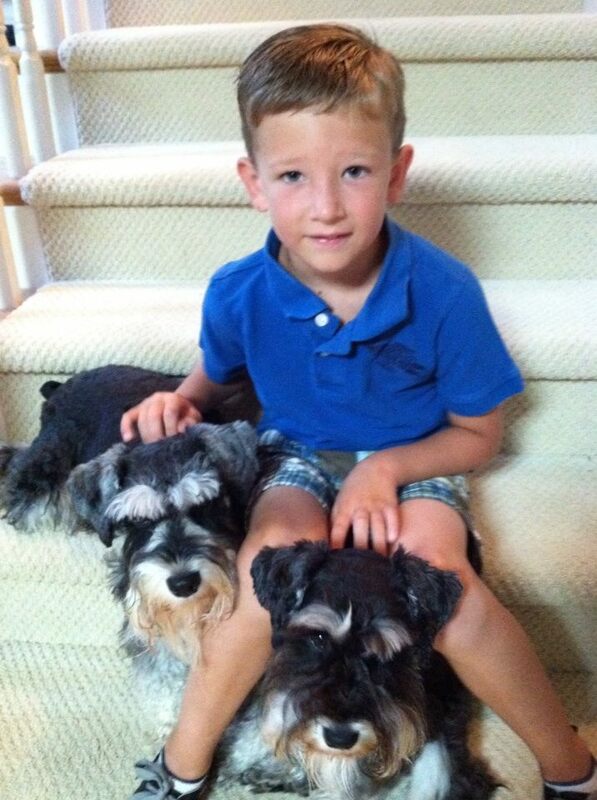 We have done our research, and pride ourselves in providing new families with new members of their families! 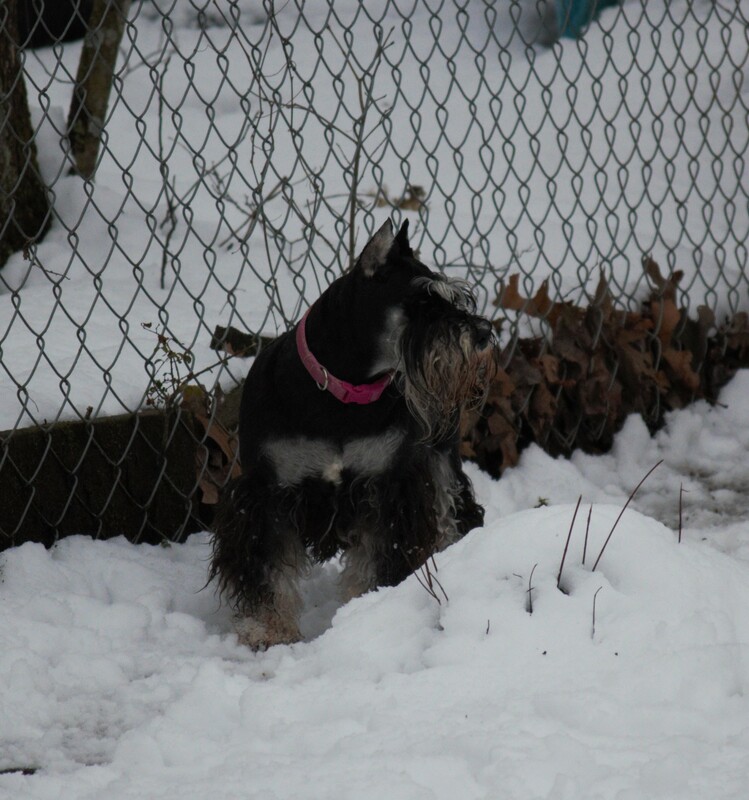 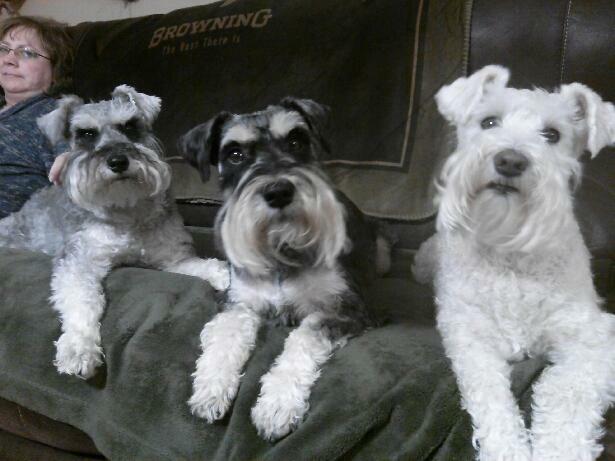 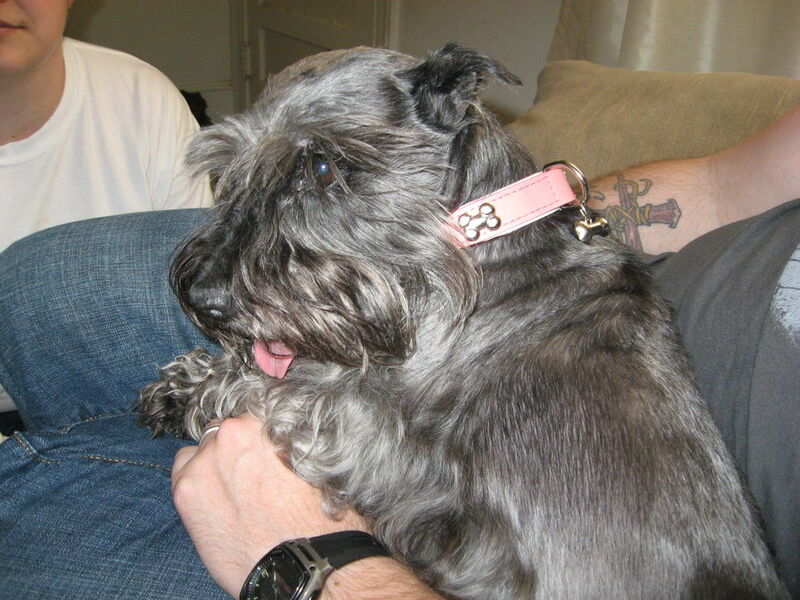 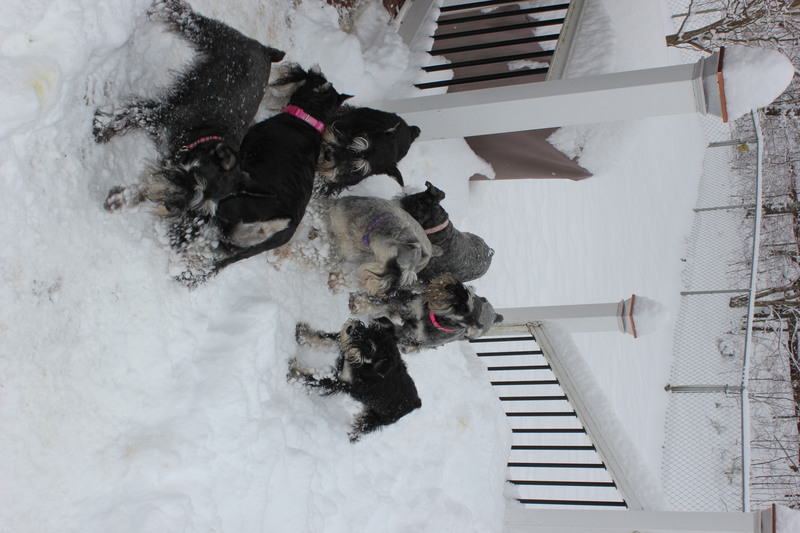 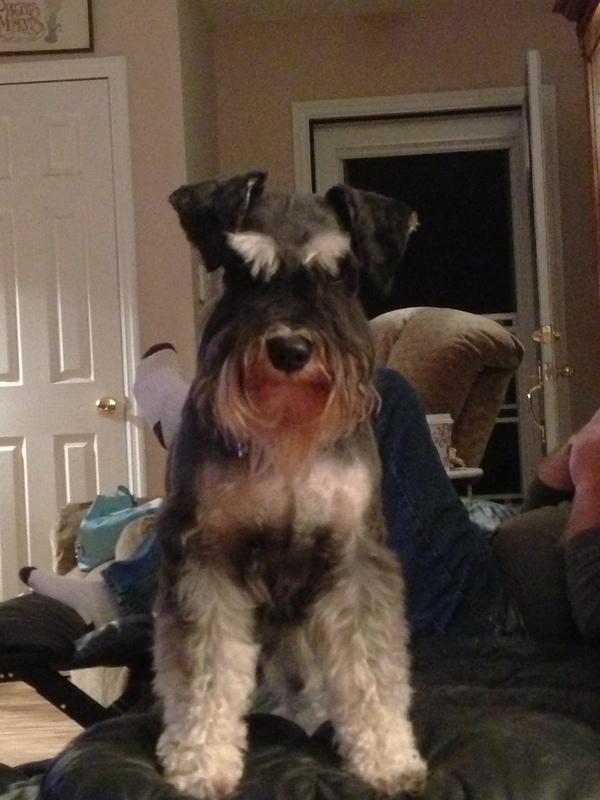 We have also included on this website photos of some families that have blessed our lives by becoming a part of our miniature schnauzer family! 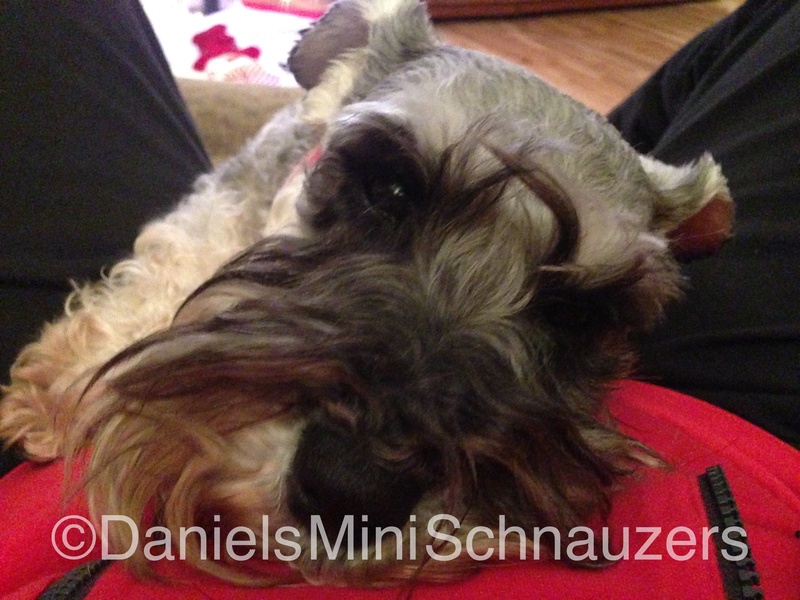 Please feel free to browse all of our pages, and also check out "Daniels Mini Schnauzers" FaceBook page... Oh, and please be sure to "LIKE" us! 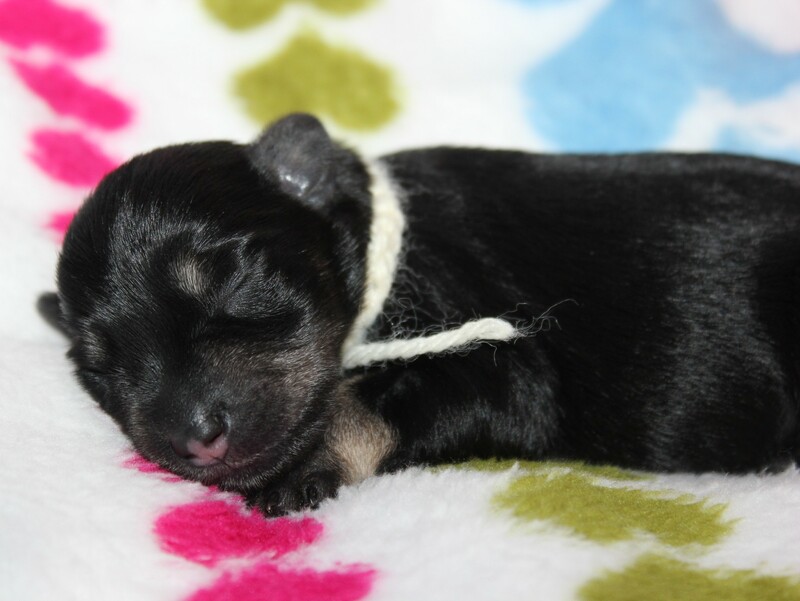 Please enjoy your stay, and check back with us often to see our new puppies! 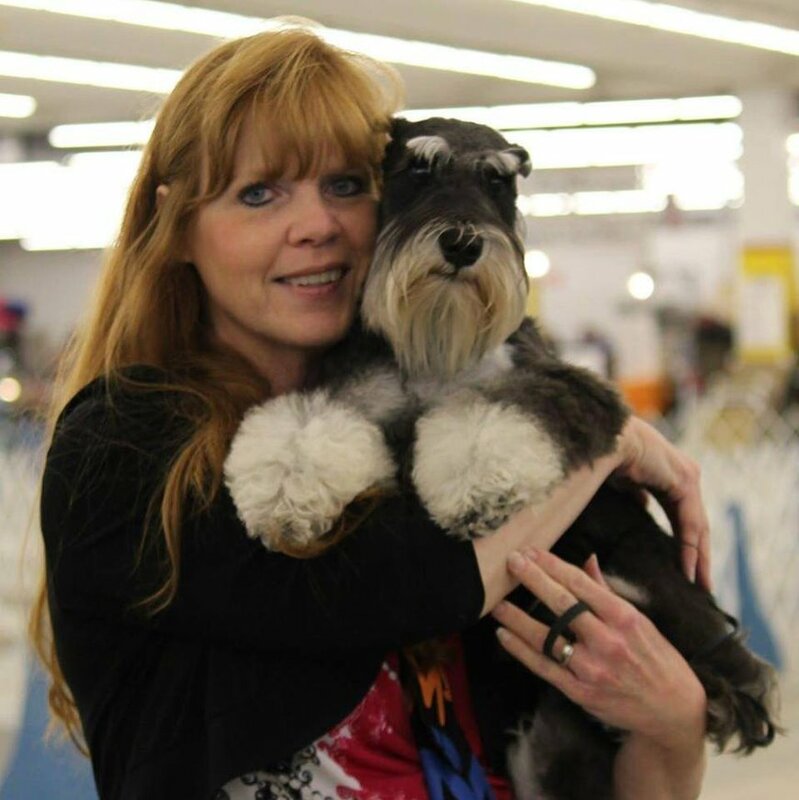 Brenda with Justice at his first AKC dog show! 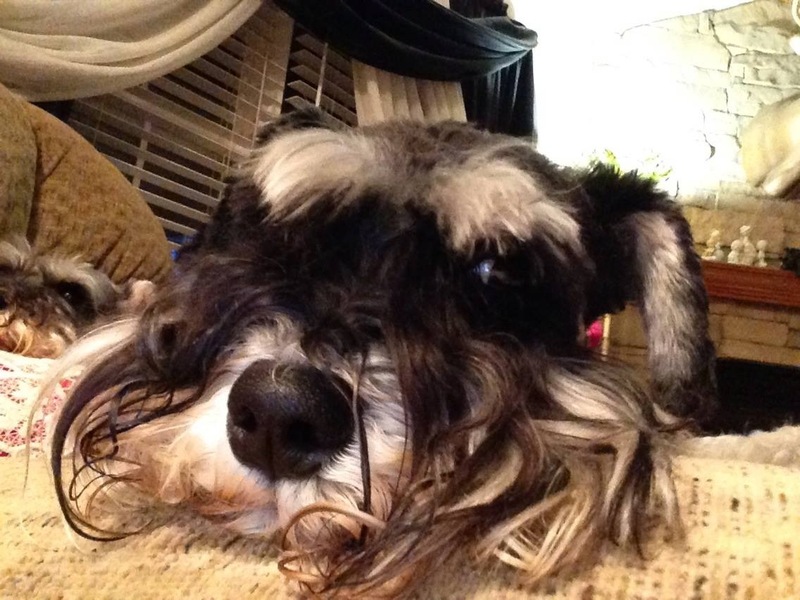 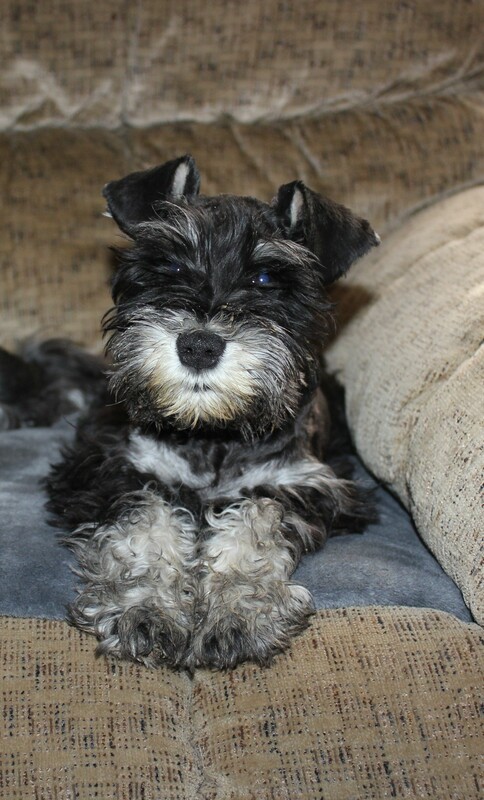 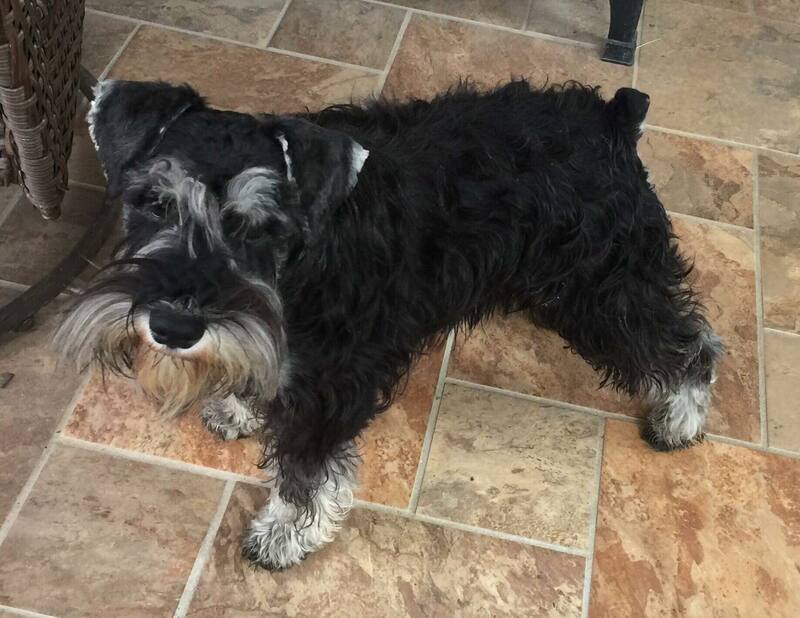 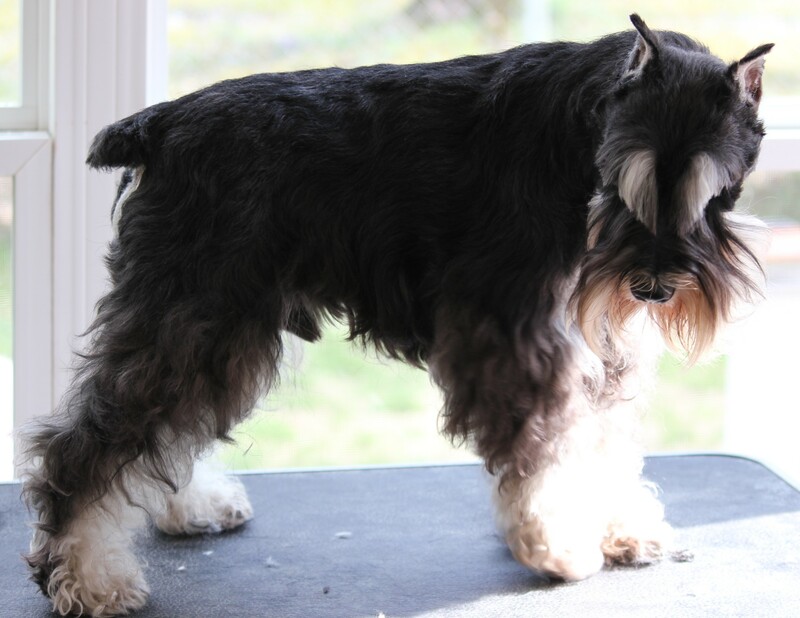 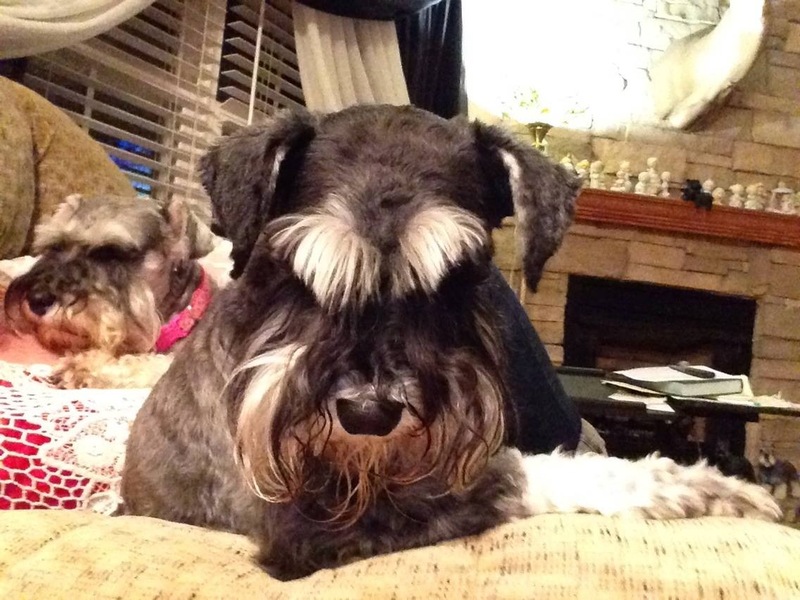 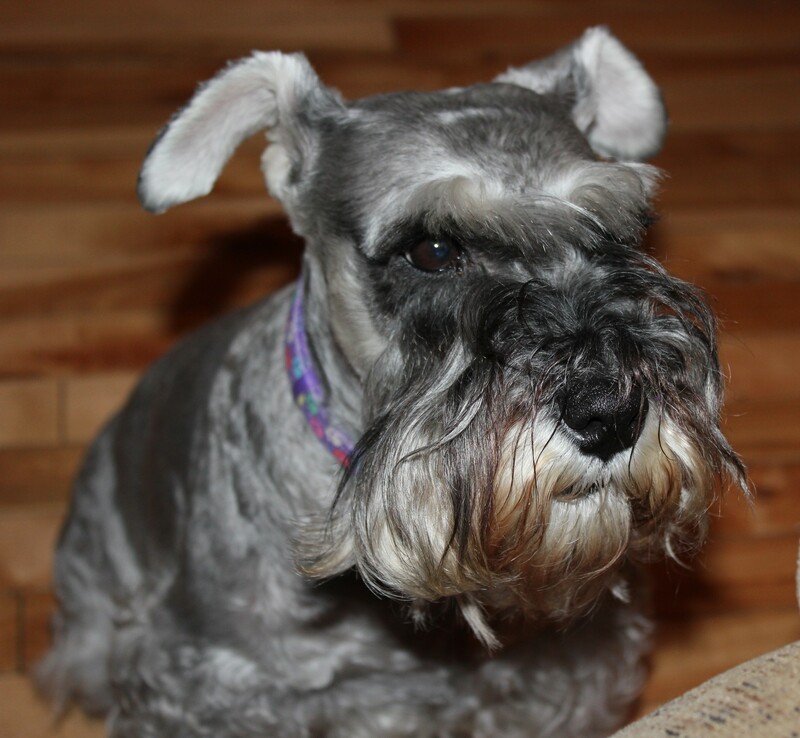 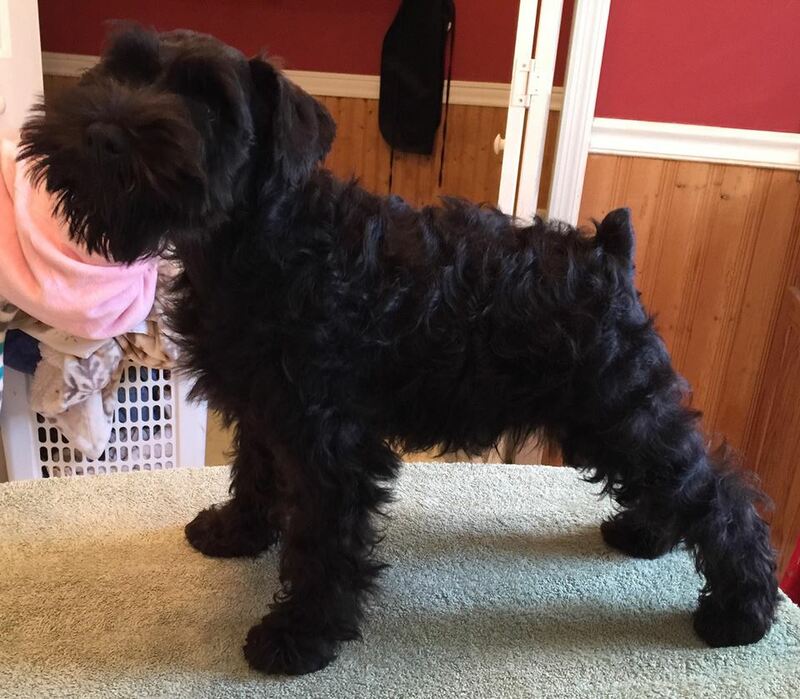 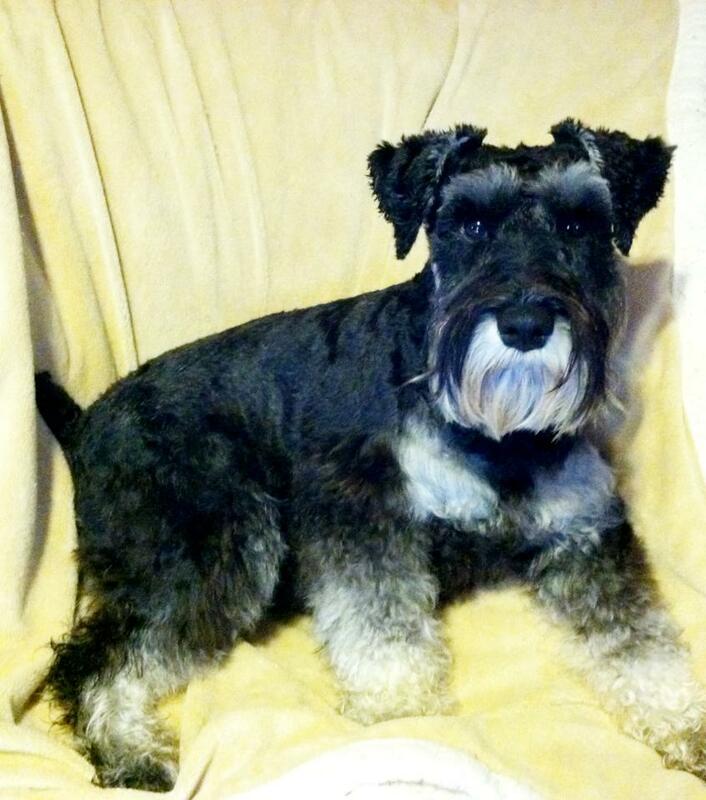 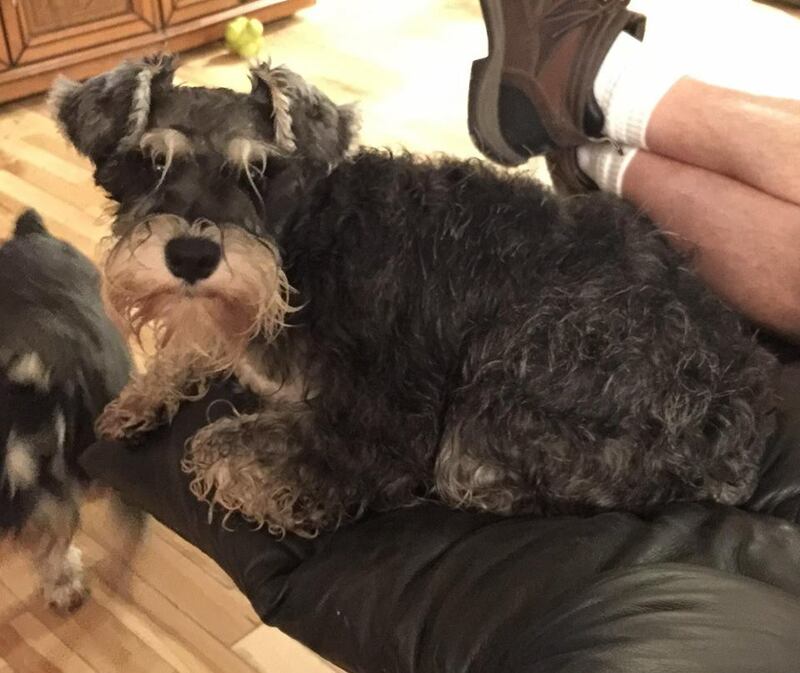 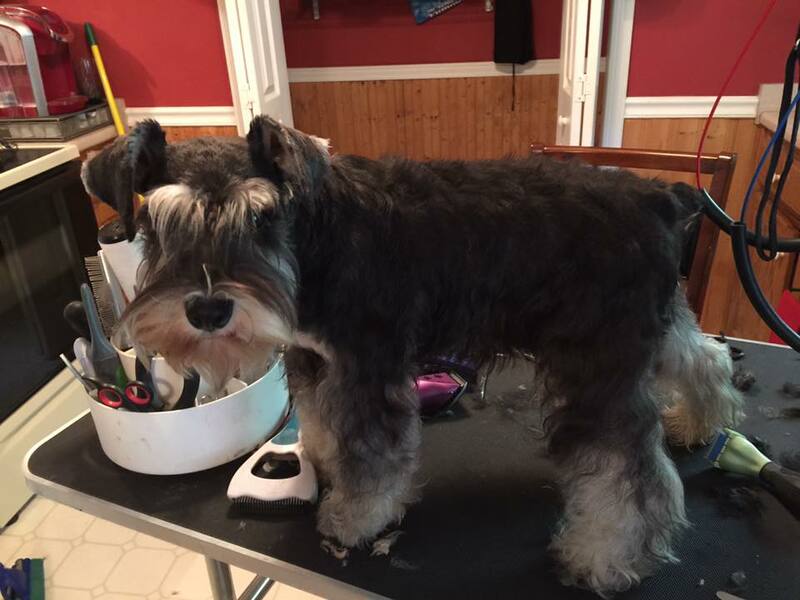 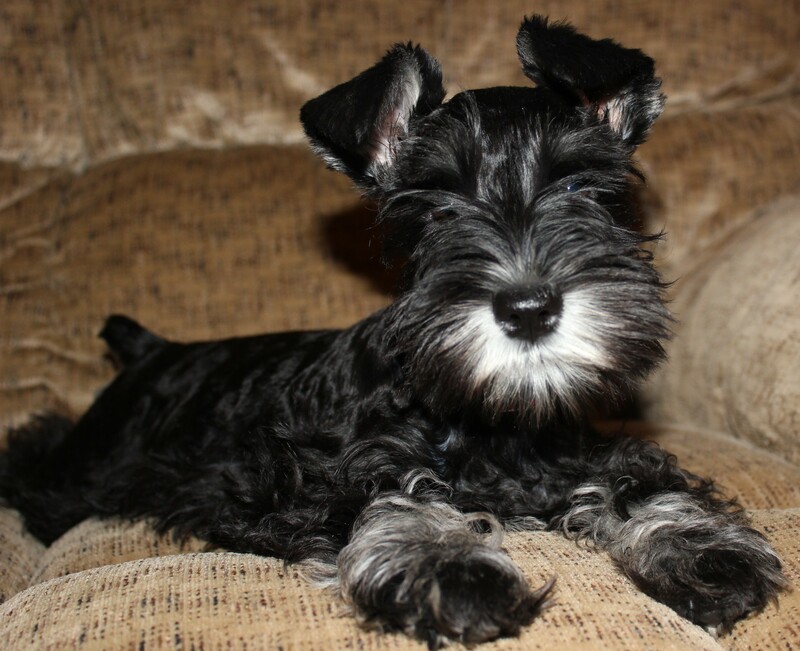 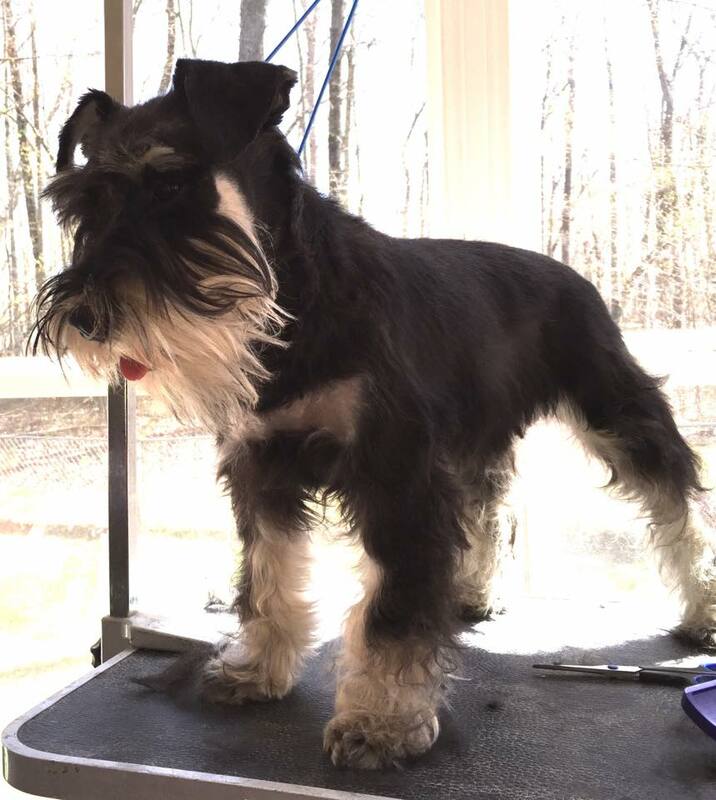 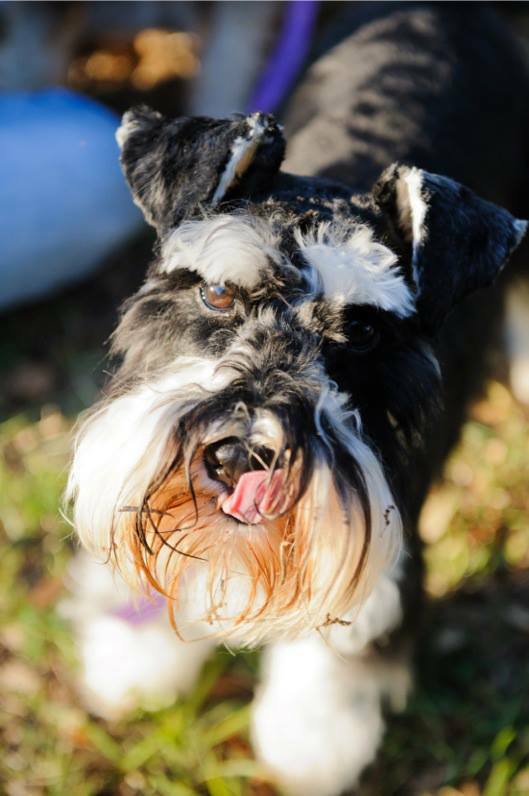 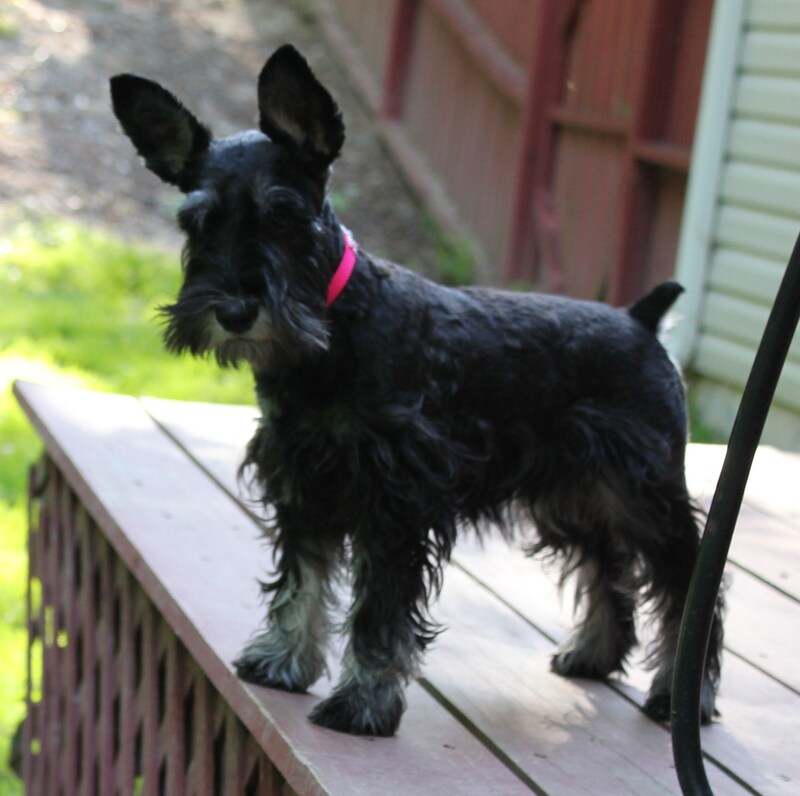 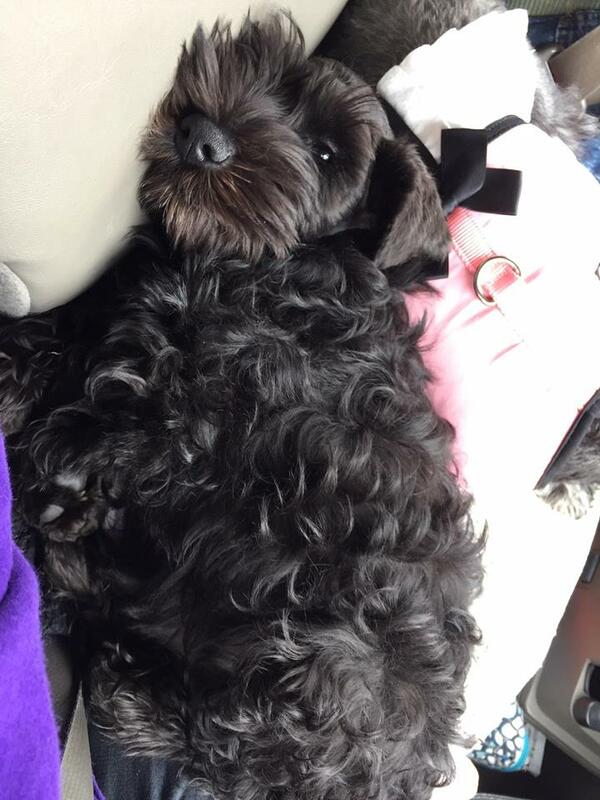 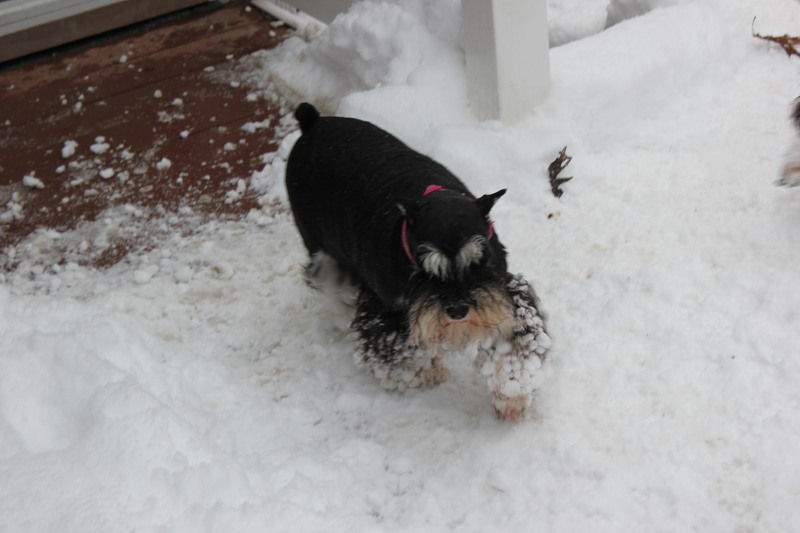 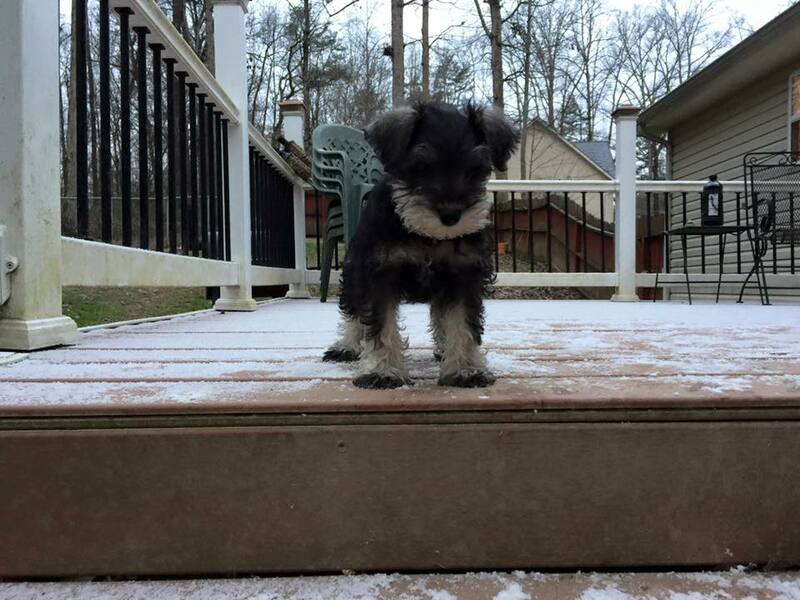 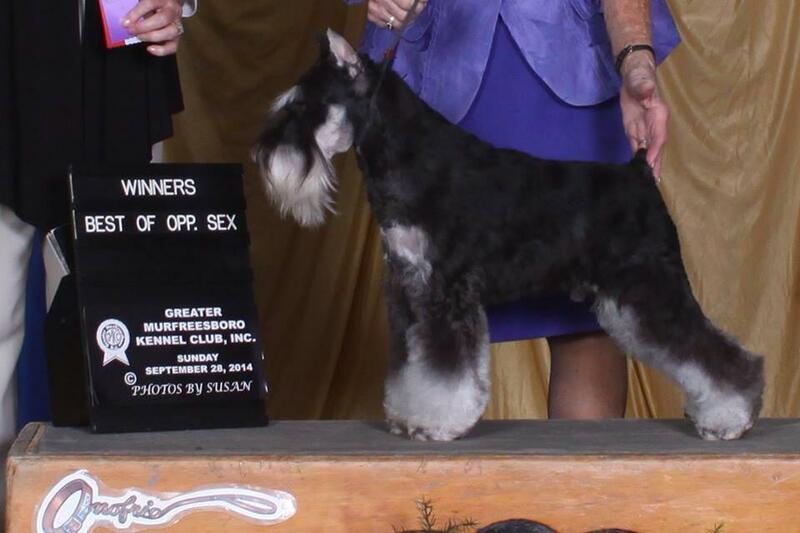 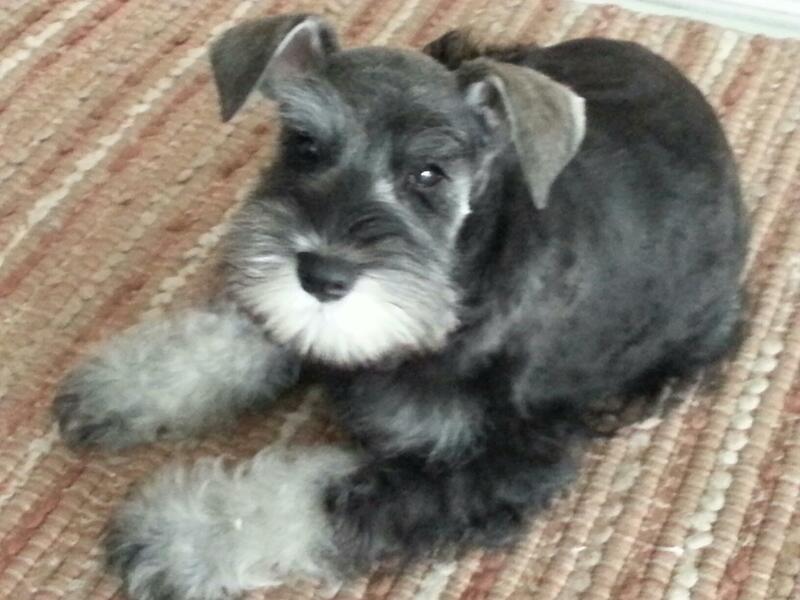 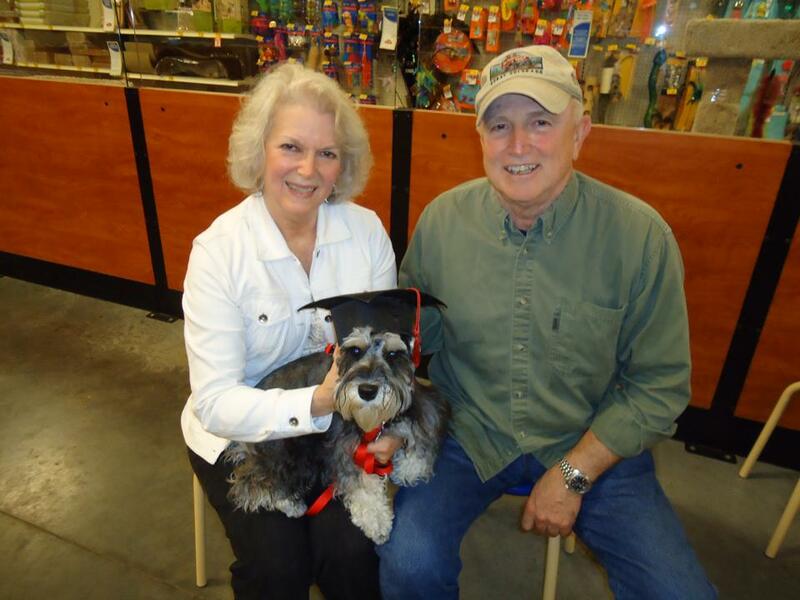 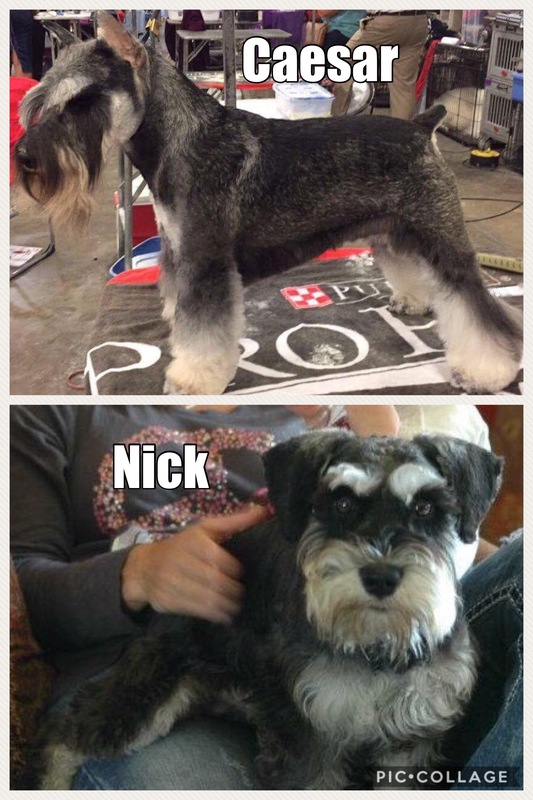 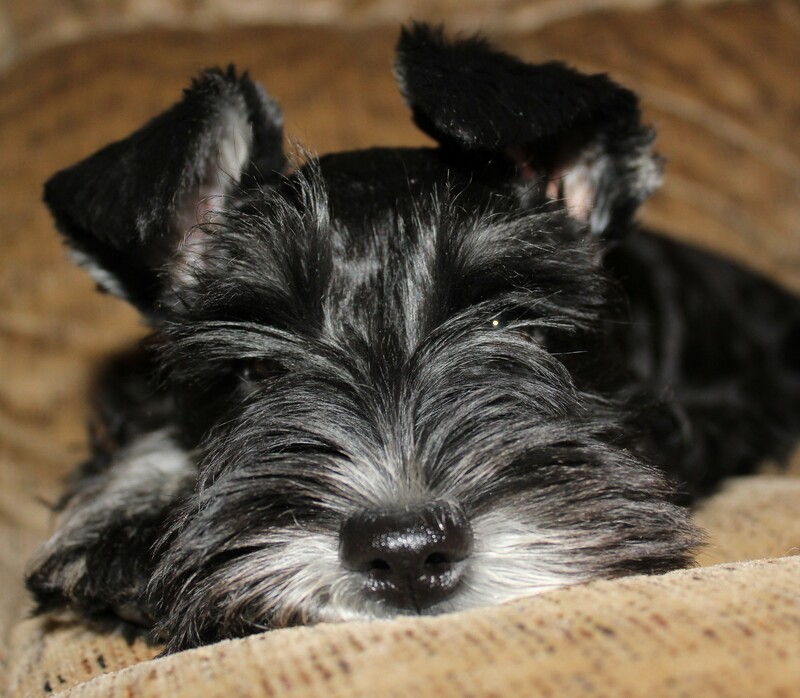 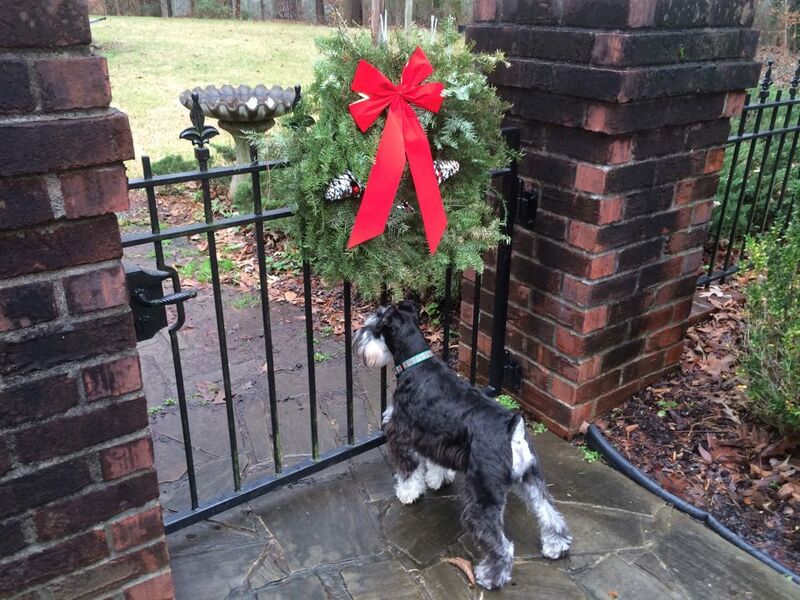 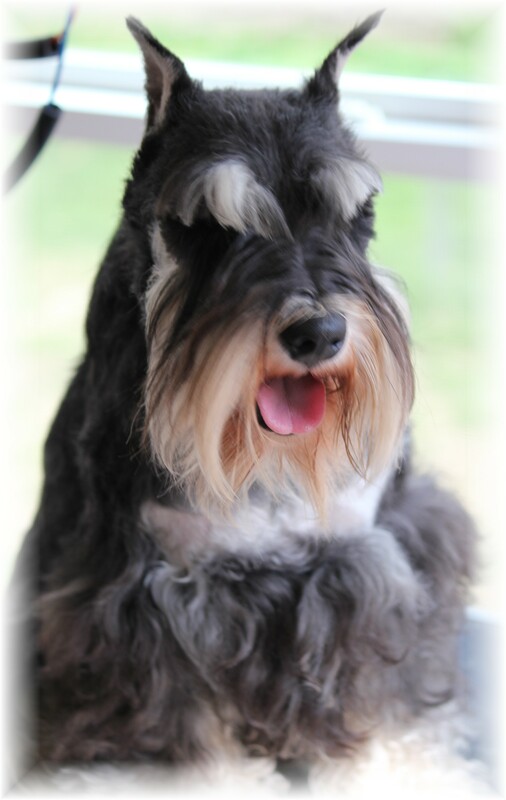 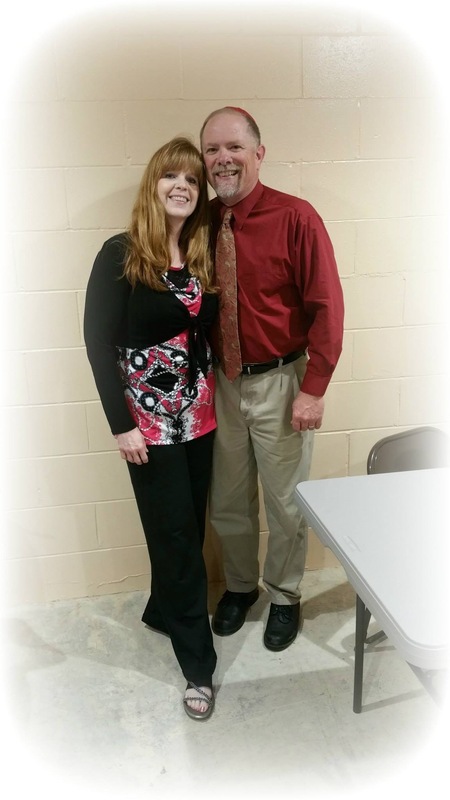 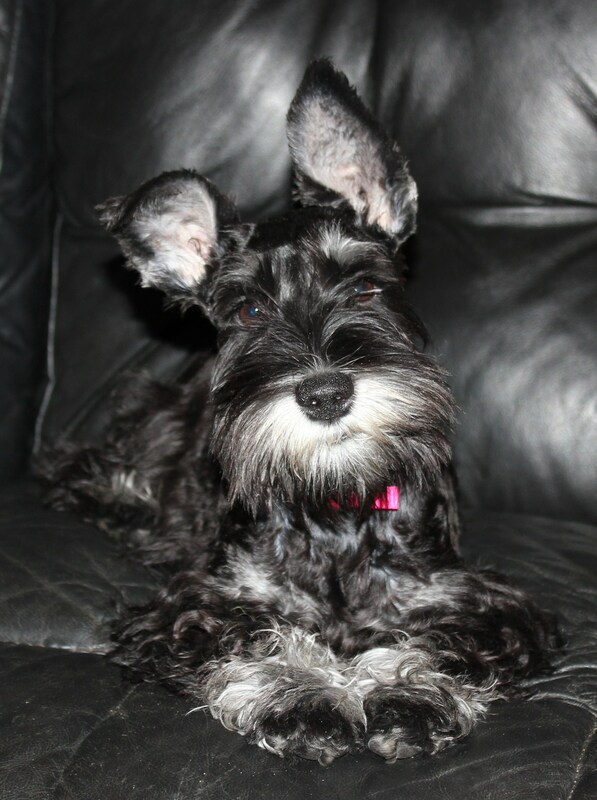 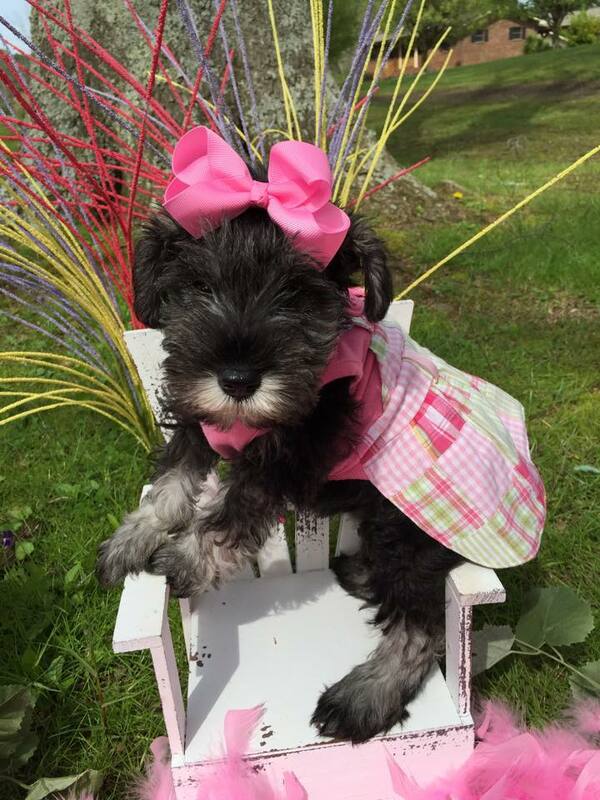 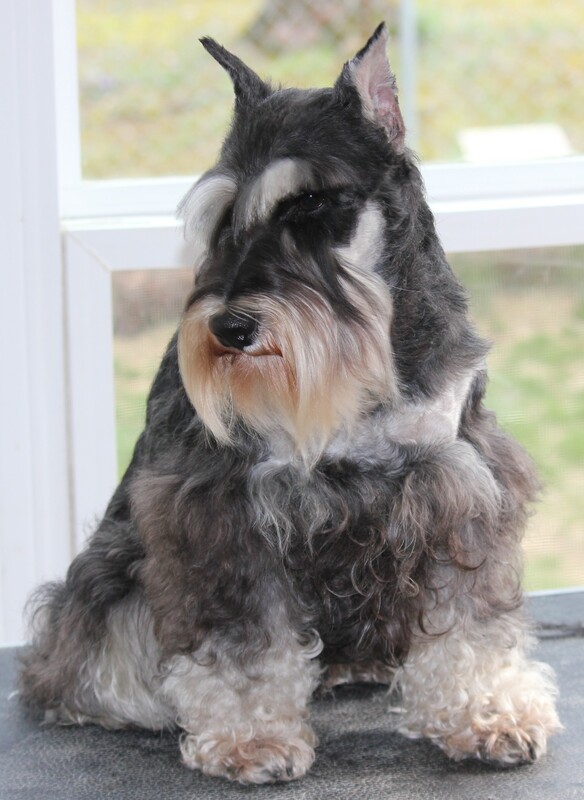 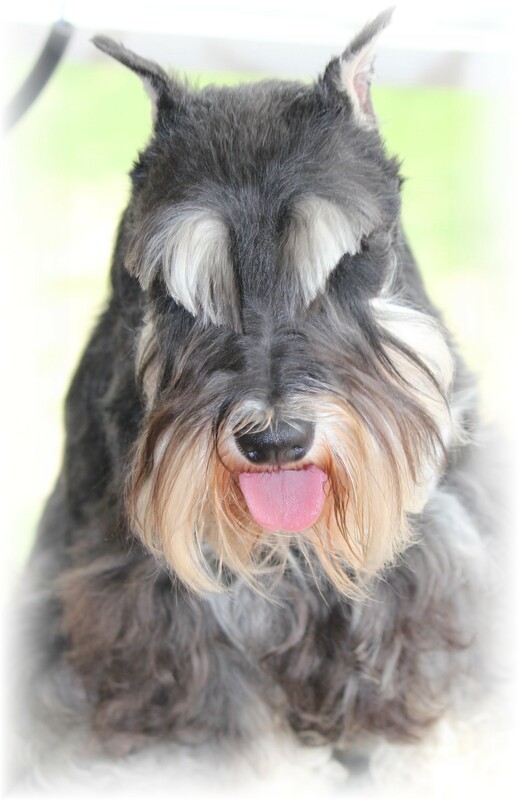 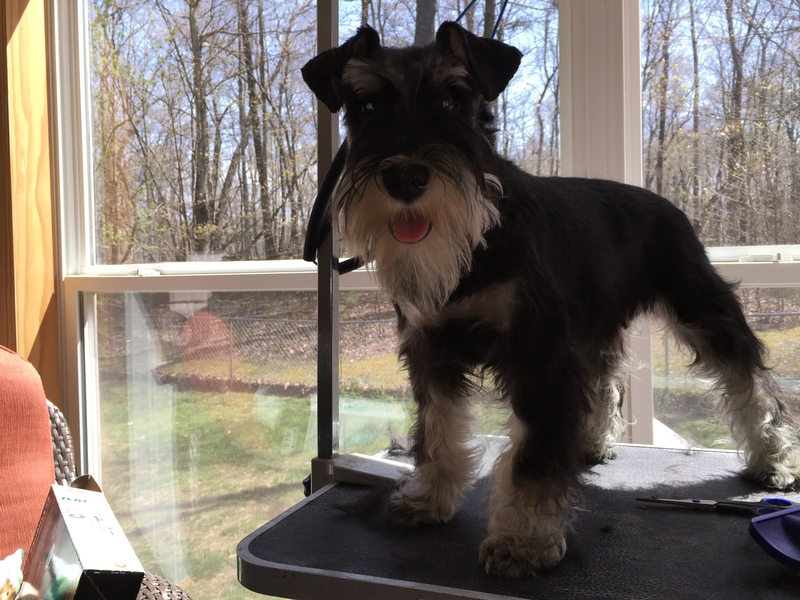 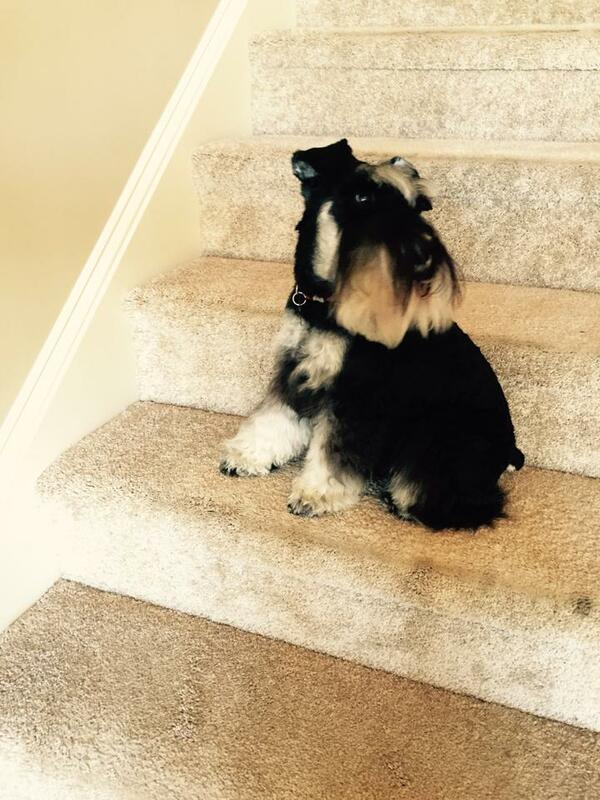 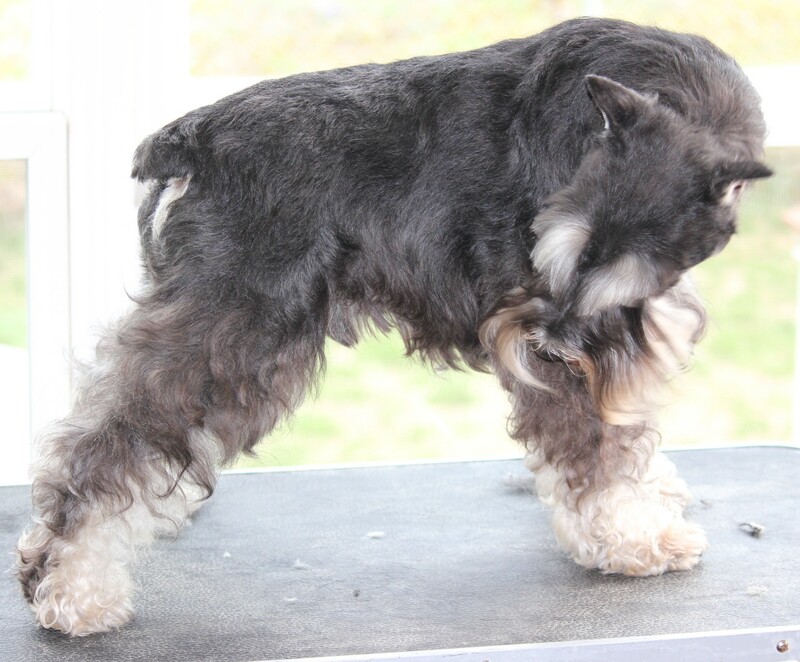 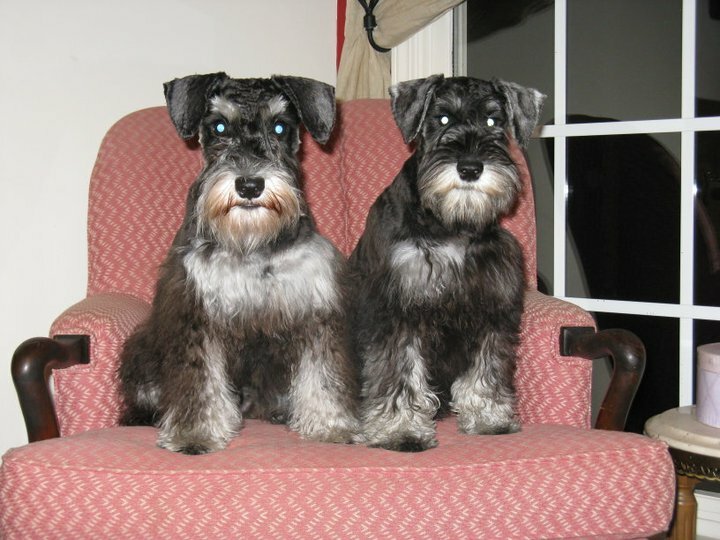 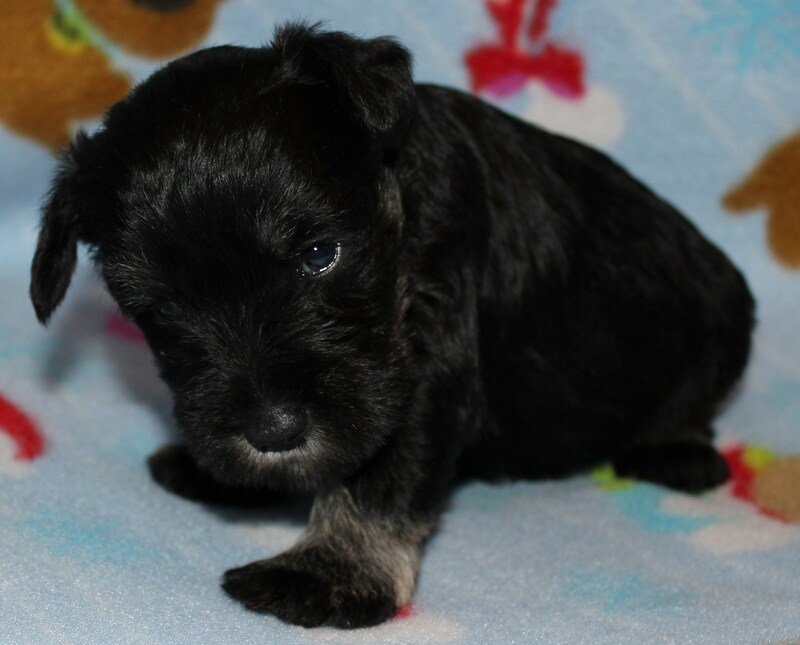 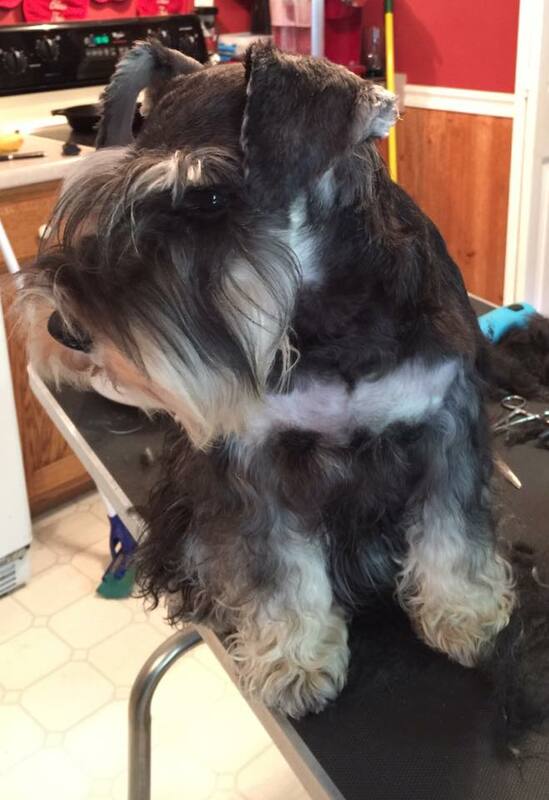 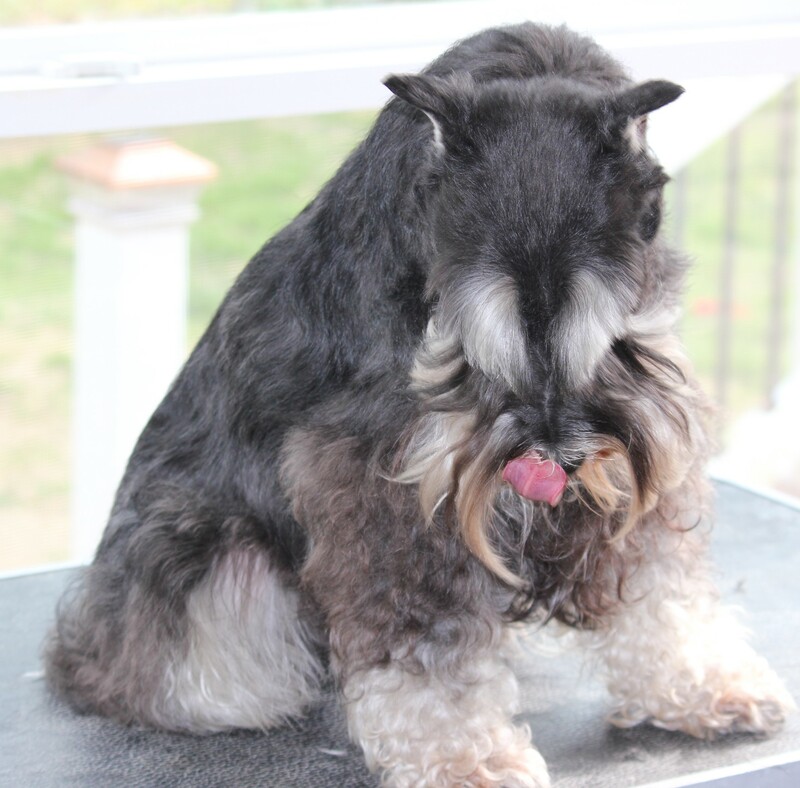 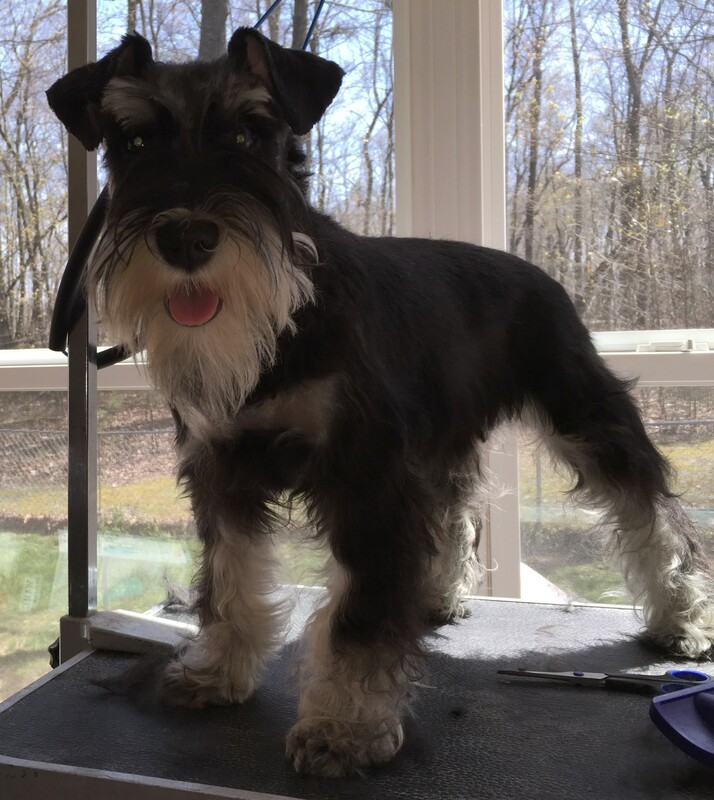 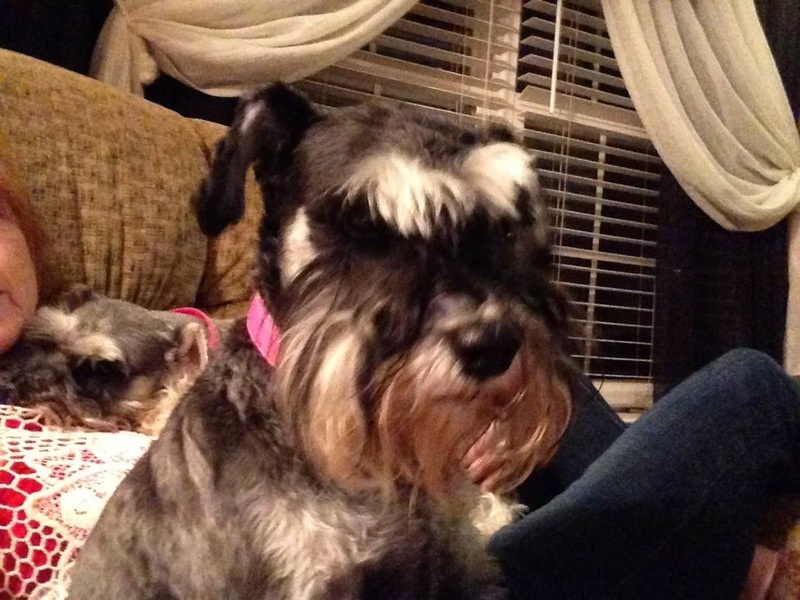 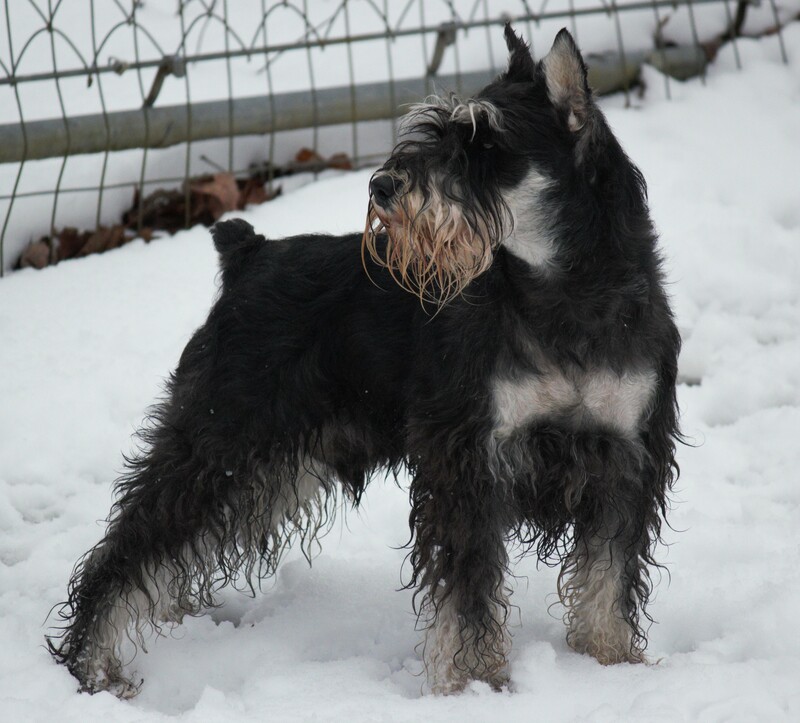 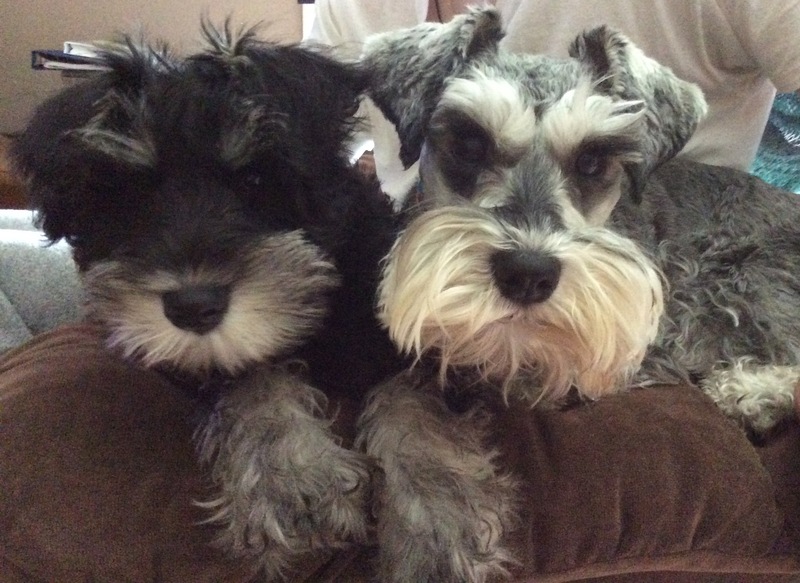 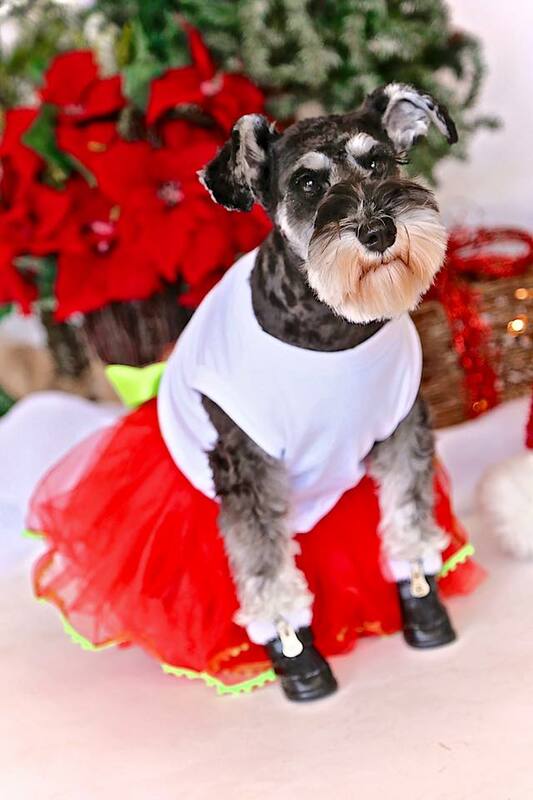 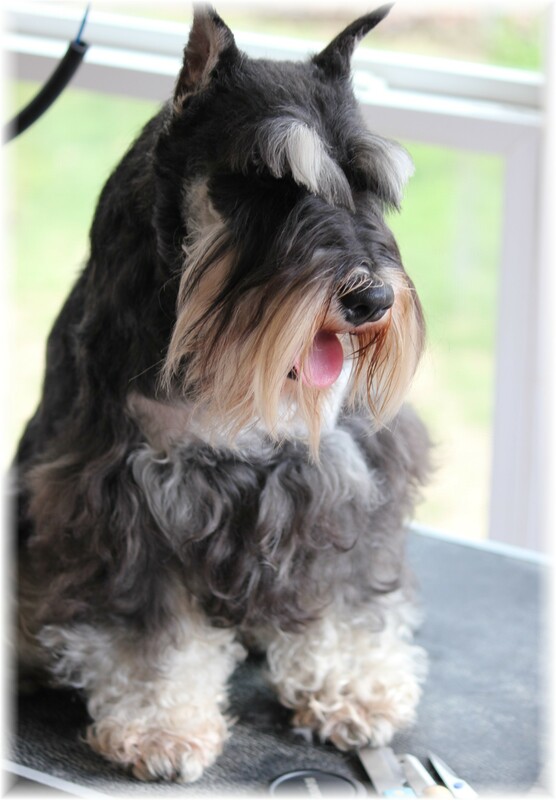 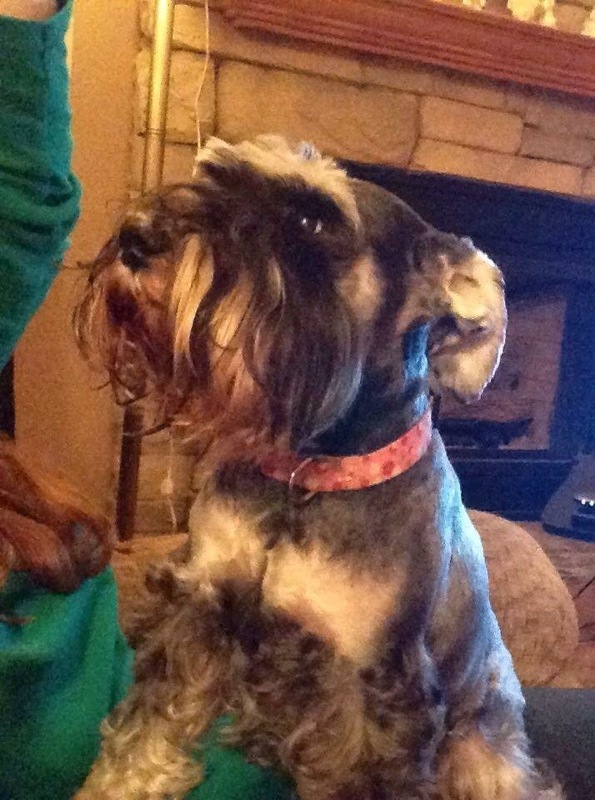 Jeff and Brenda Daniels have been providing their GORGEOUS miniature schnauzers since 1999 to wonderful families all around the United States. 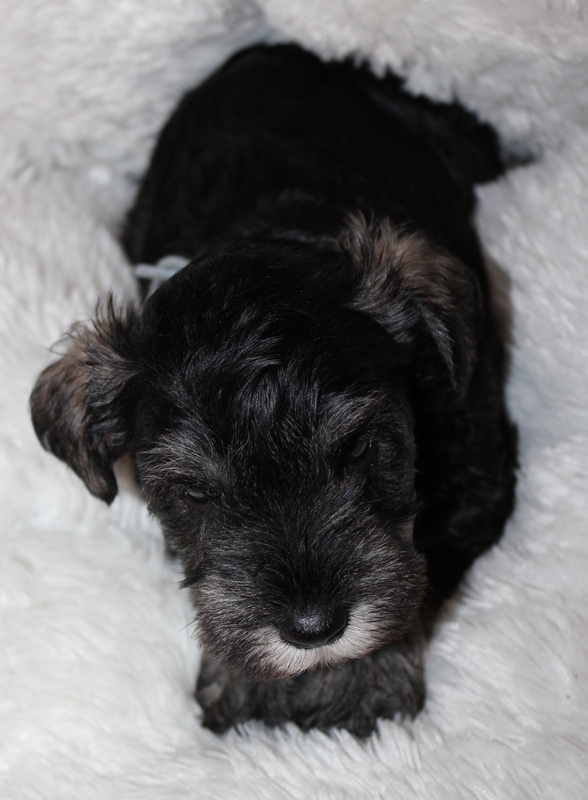 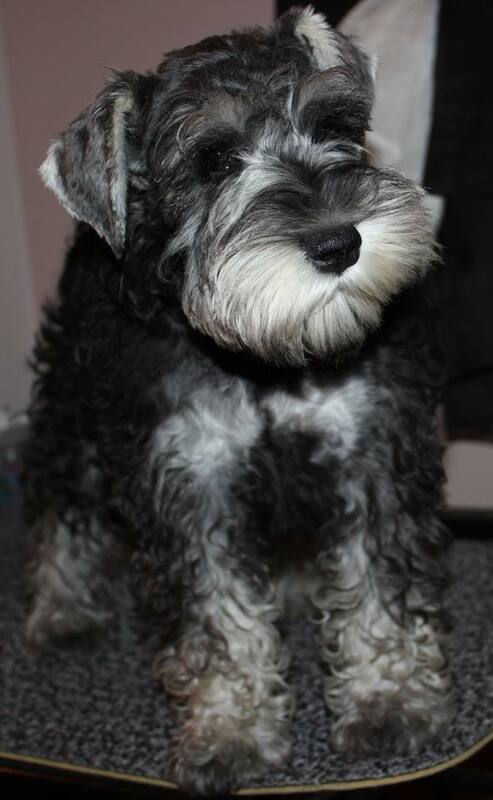 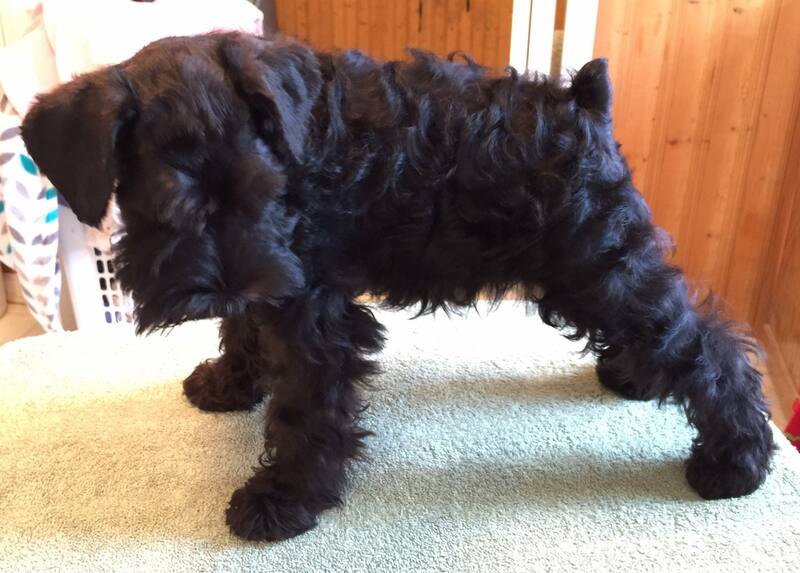 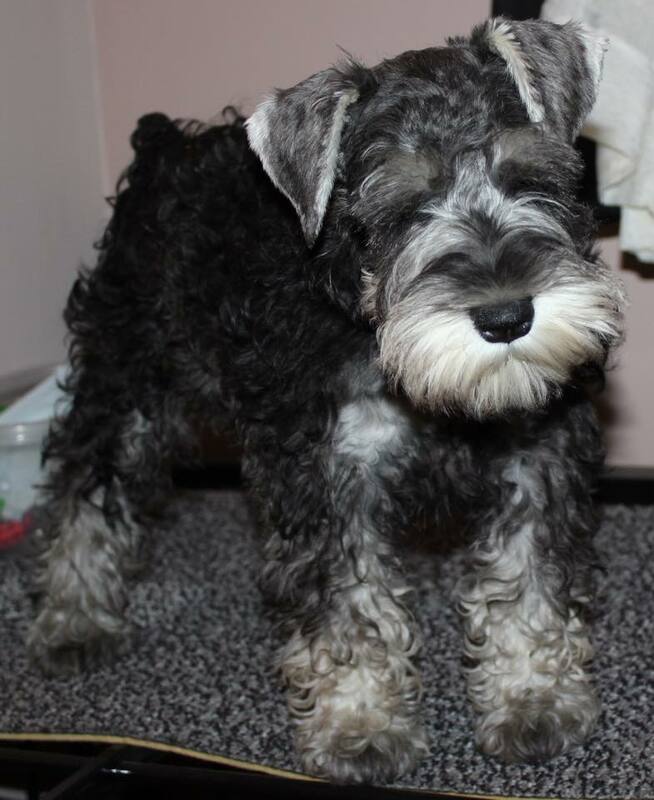 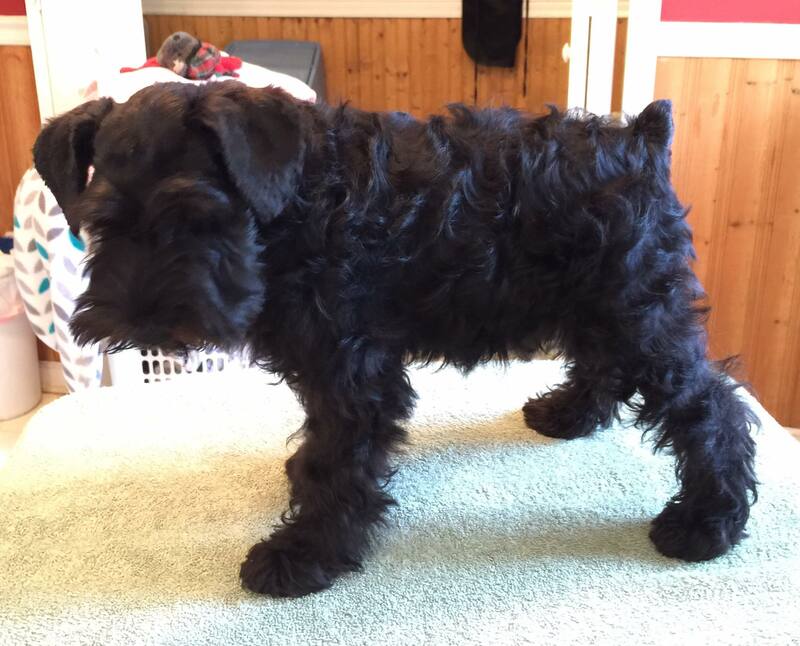 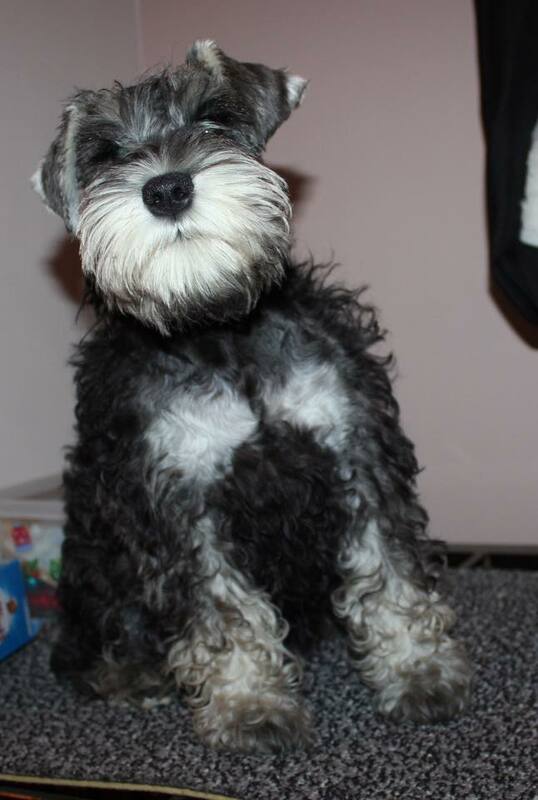 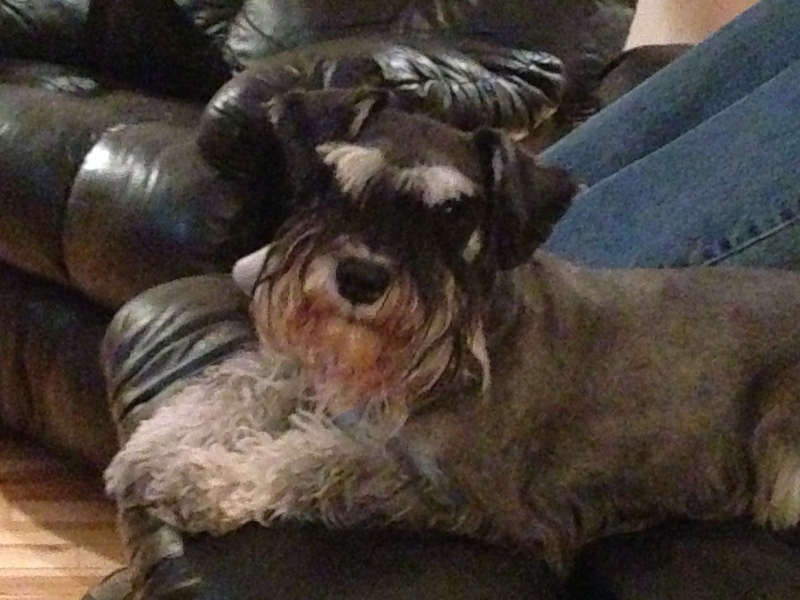 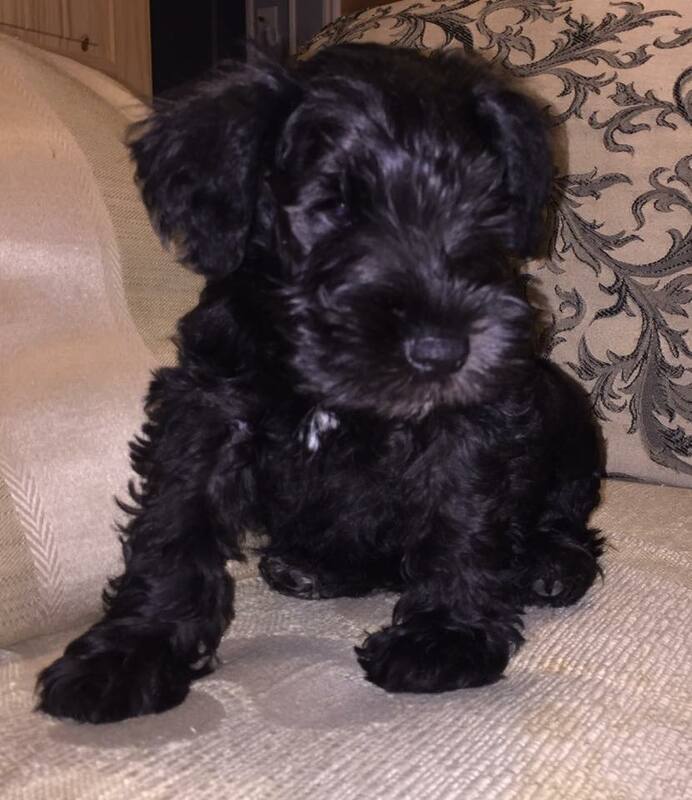 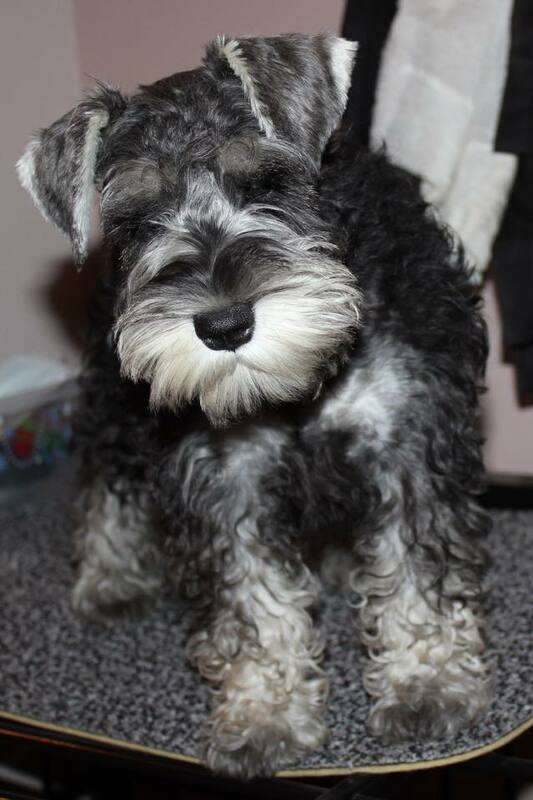 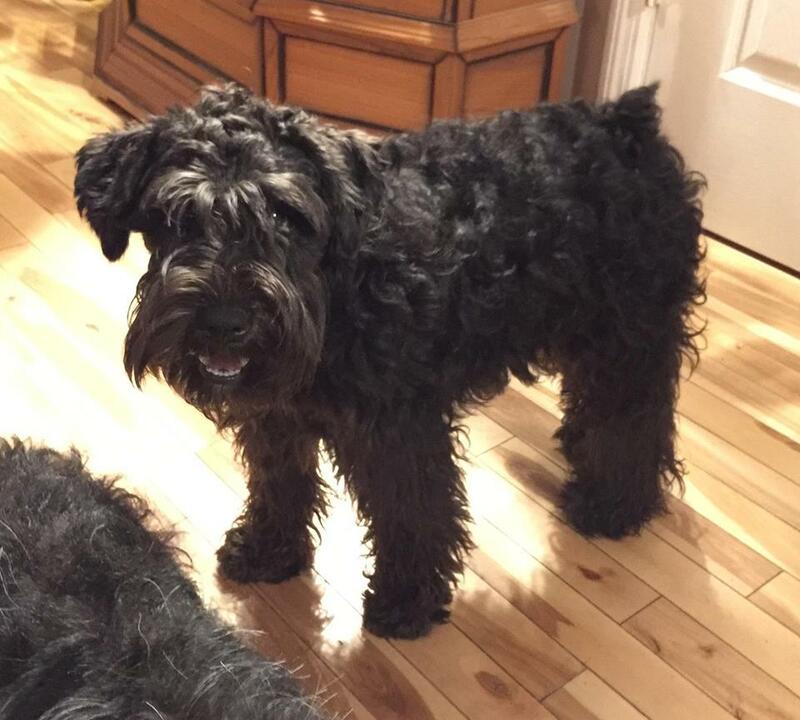 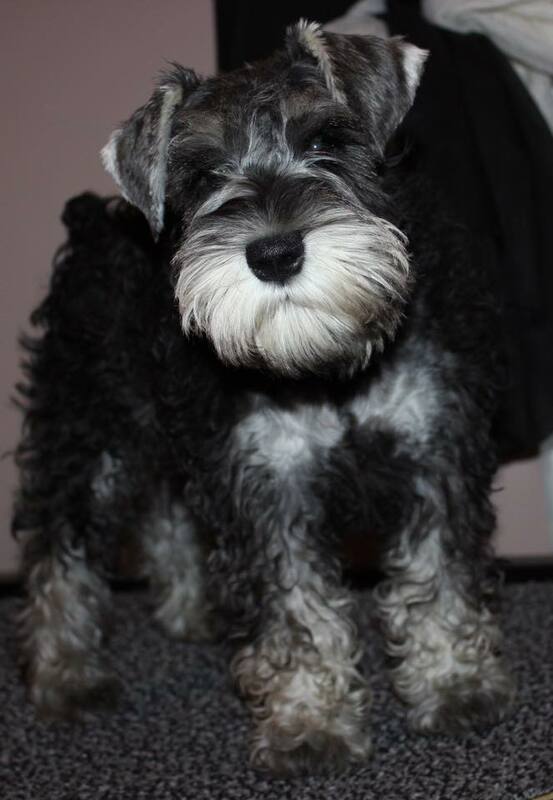 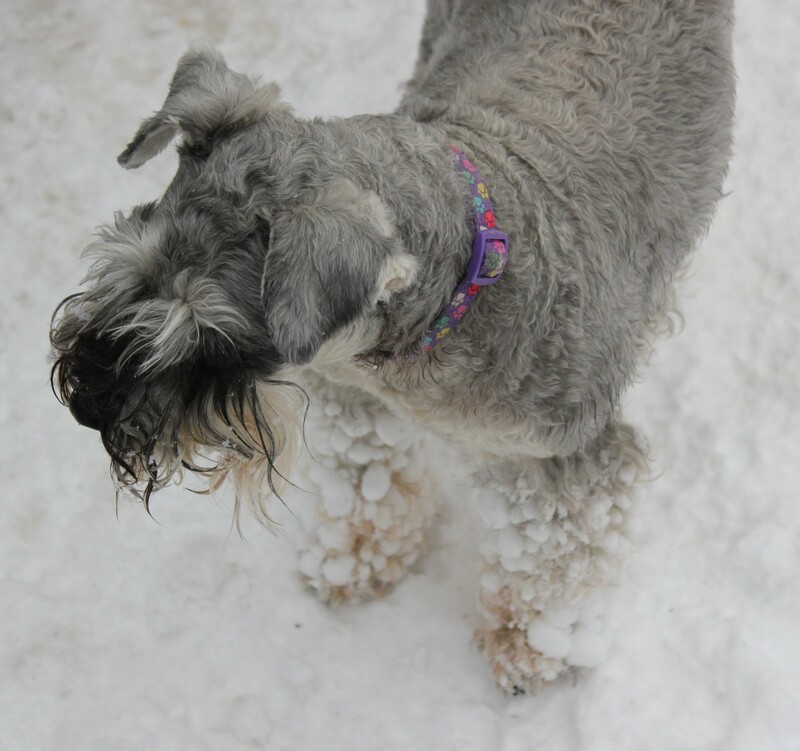 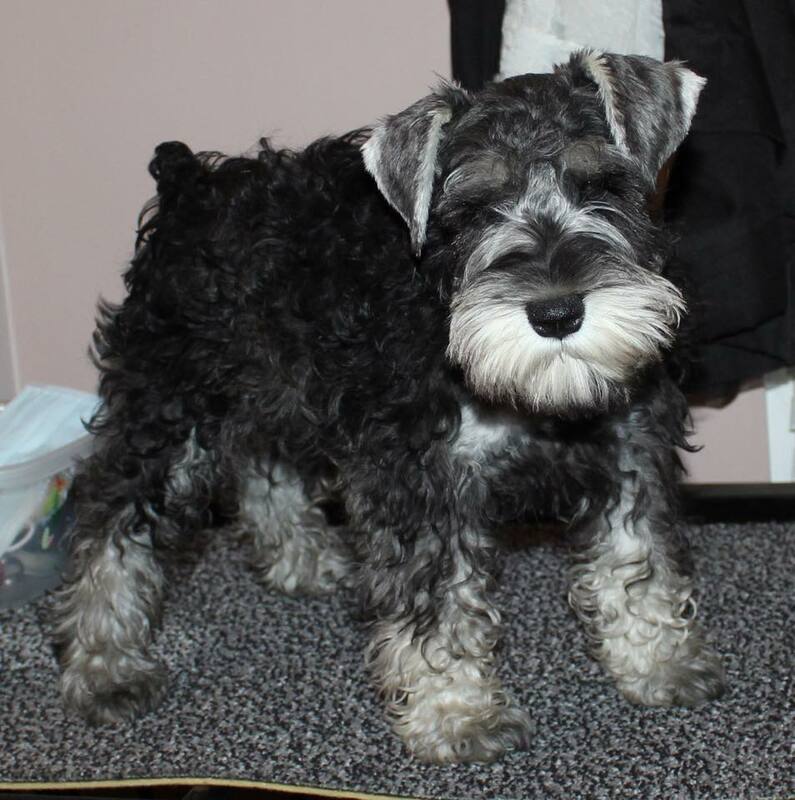 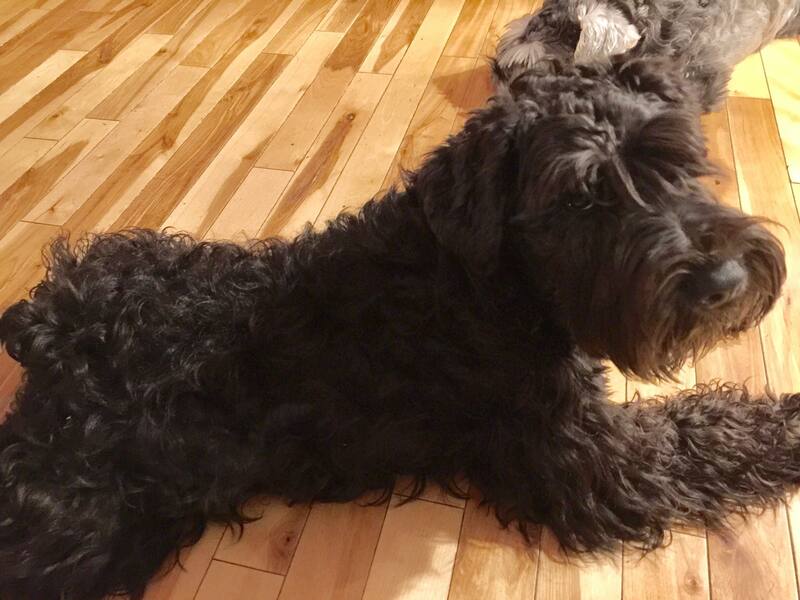 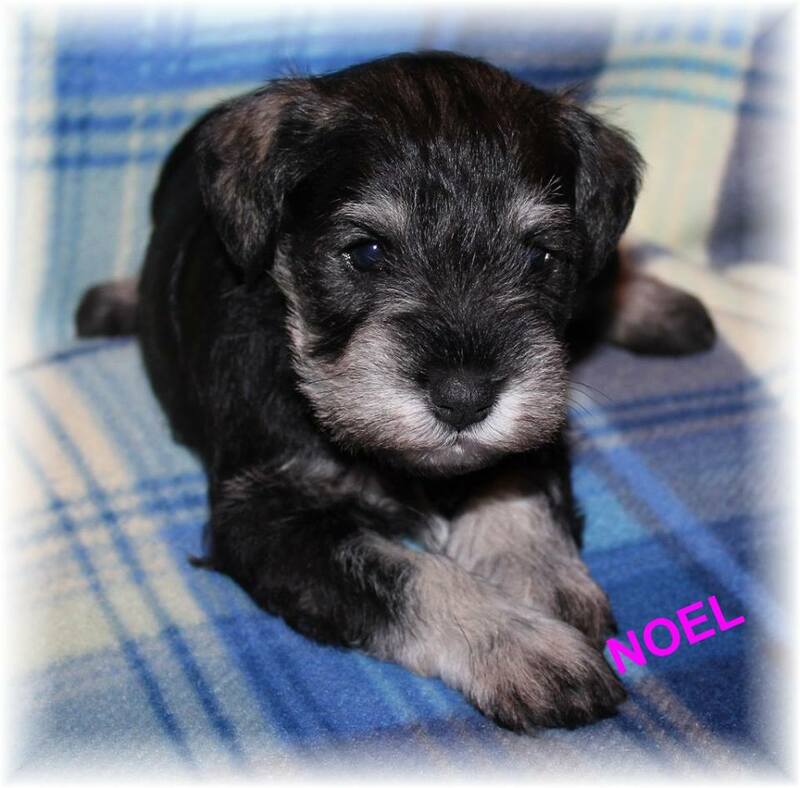 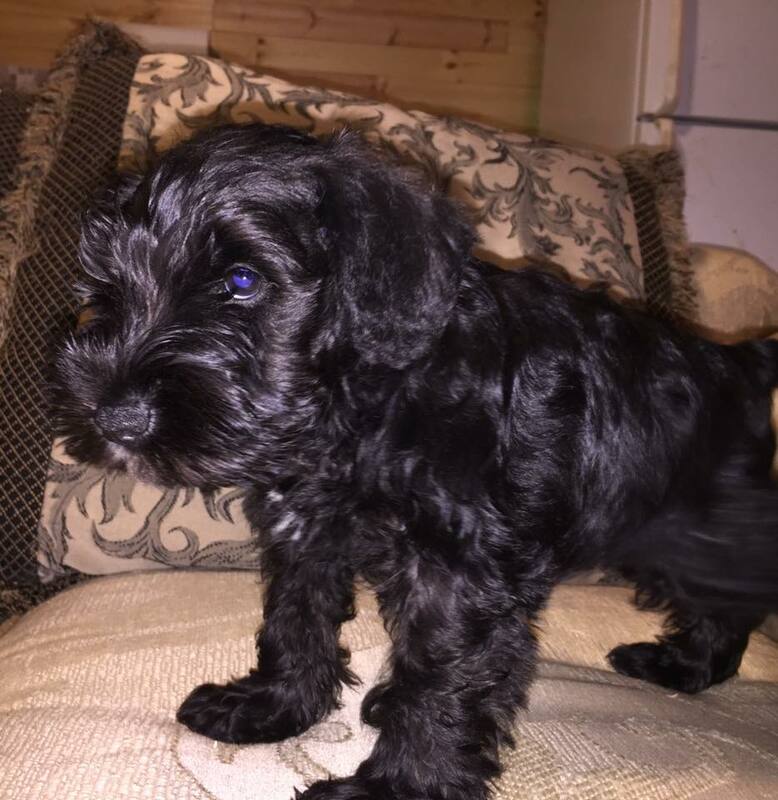 We have selected the finest male and female schnauzers that we can find in order to provide you with a high quality, healthy, sweet-natured, obedient pet! 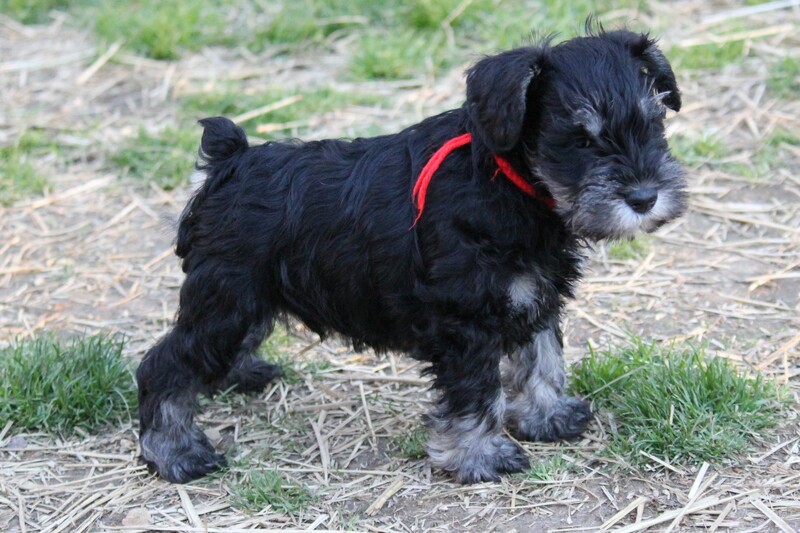 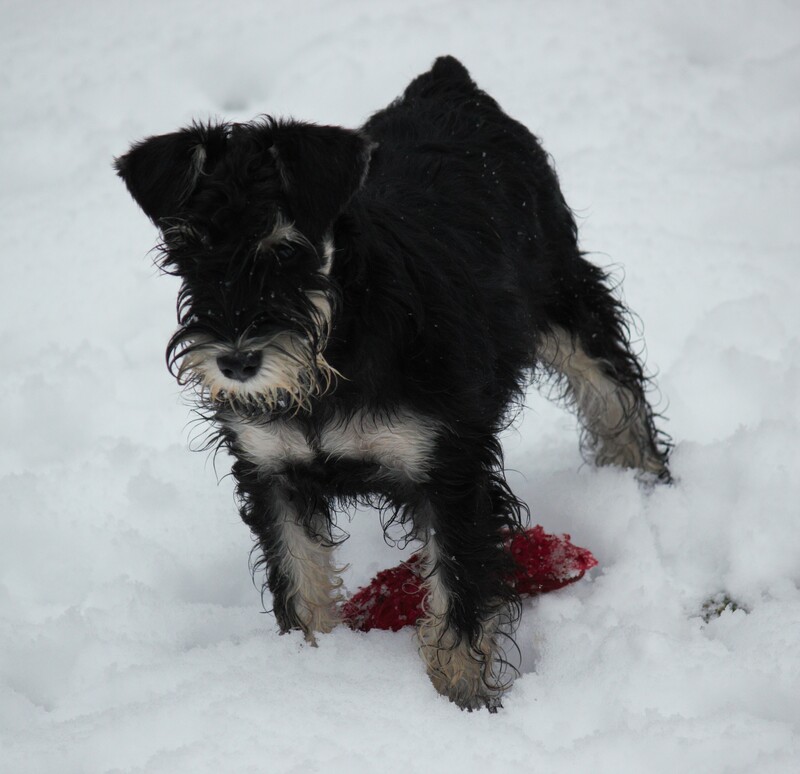 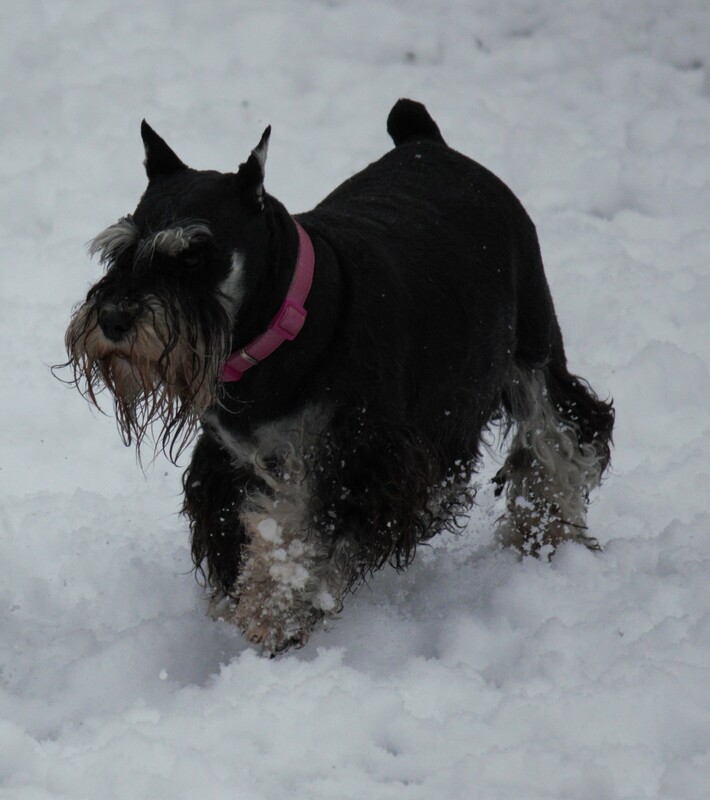 Our miniature schnauzers MUST pass Embark DNA health screening and be clear of being carriers of over 160 genetic diseases included in the testing in order to be bred! 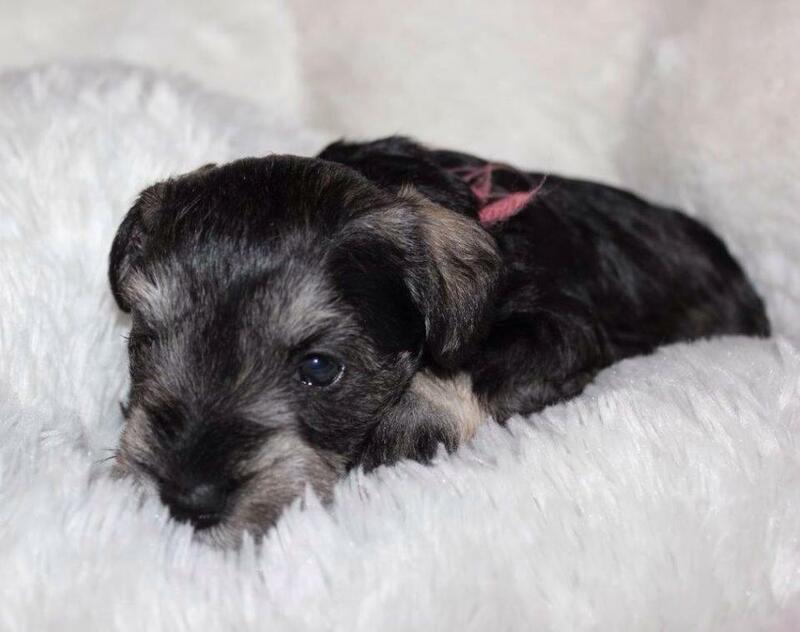 Please take the time out of your busy schedule to browse our site for all the important information you might need in order to make this VERY important decision in your life, to add a new family member! 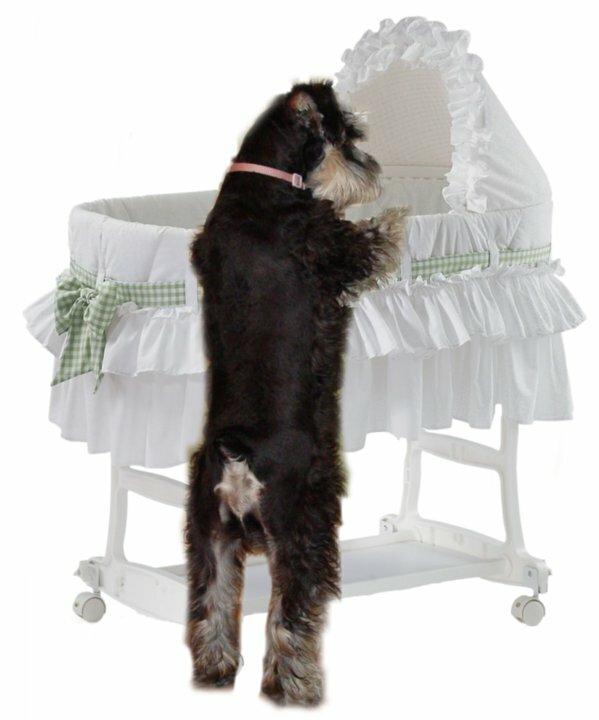 Very careful planning and research is the key in making you and your pet comfortable with each other. 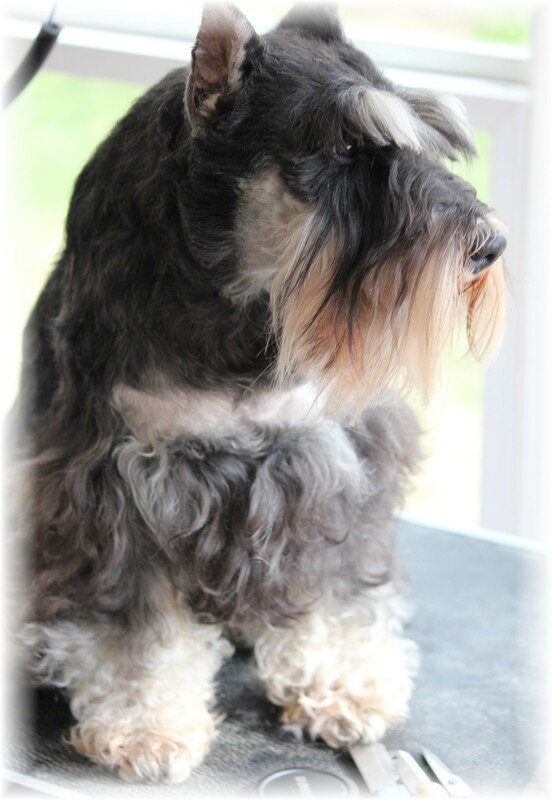 Know the breed and get familiar with what they have to offer! 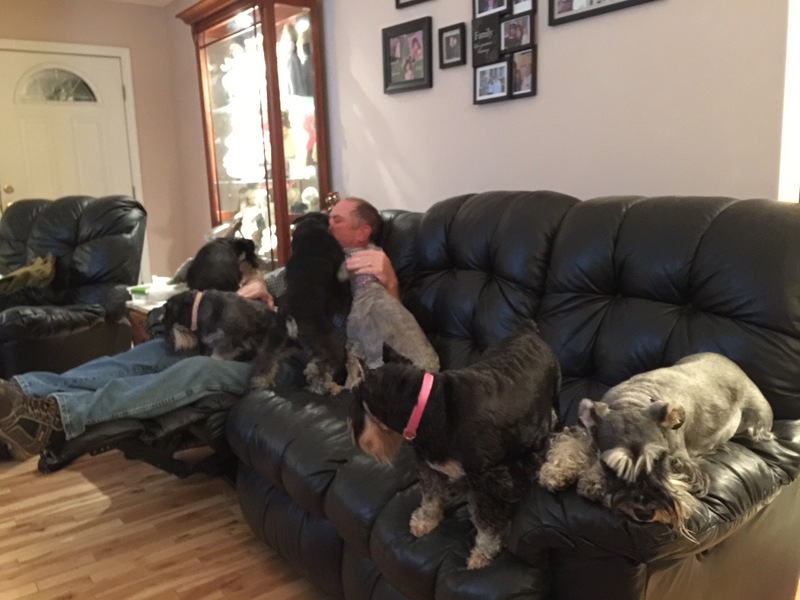 Look for people like us who raise ALL their puppies IN THEIR HOME, along with ALL their other dogs, AS PART OF THEIR FAMILY, not off in a separate room where they do not have the opportunity to be socialized and loved on, and experience family day-to-day routines! 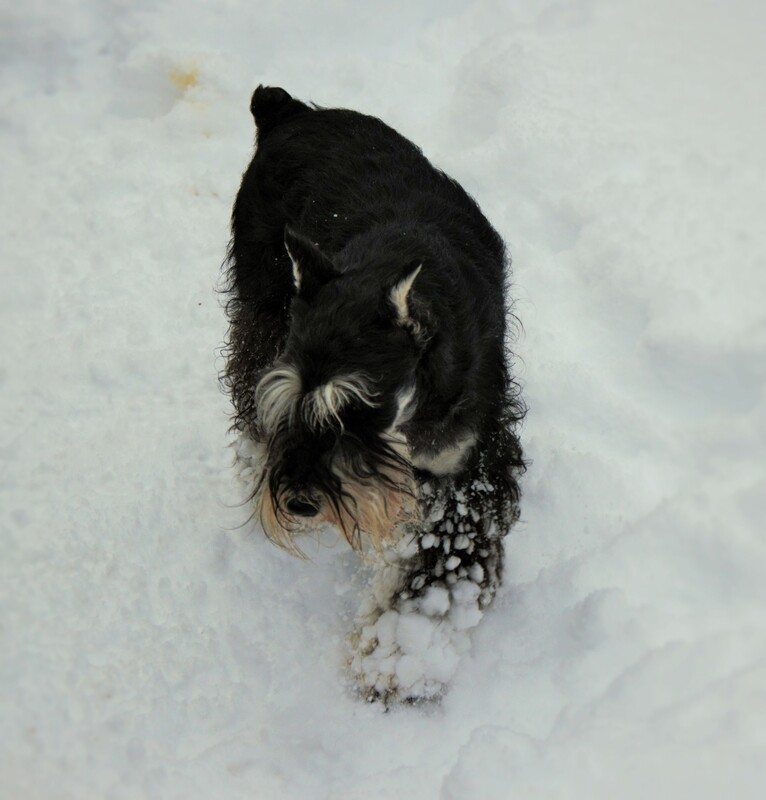 Copyright©2005 Brenda Daniels. 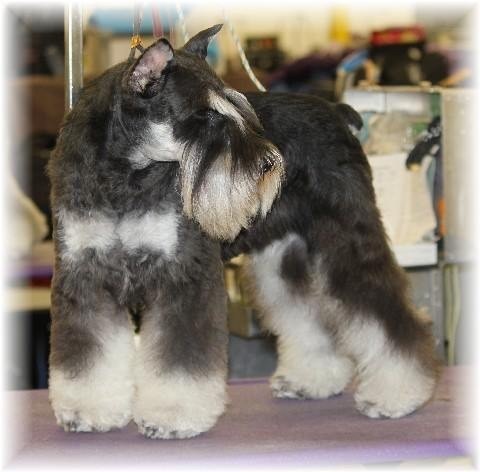 ALL photos are copyright property of Brenda Daniels and DanielsMiniSchnauzers.com and all copying, editing and sharing is STRICTLY PROHIBITED unless written notice has been signed, notarized and sealed by copyright material owner!